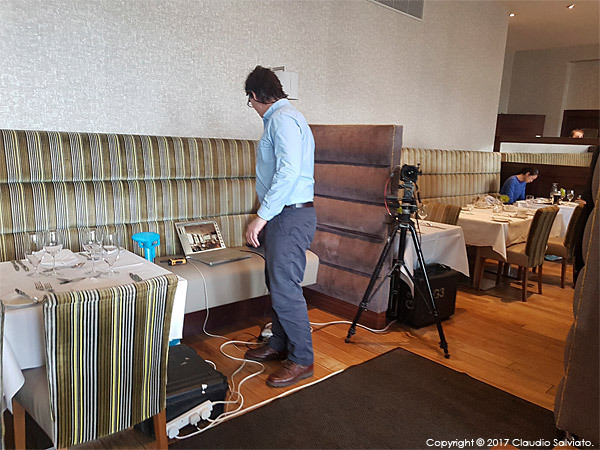 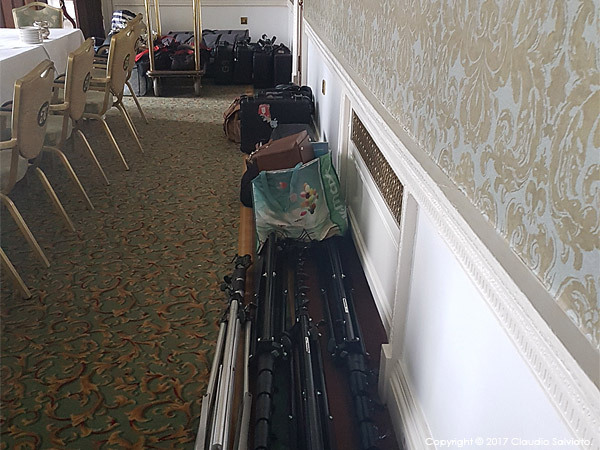 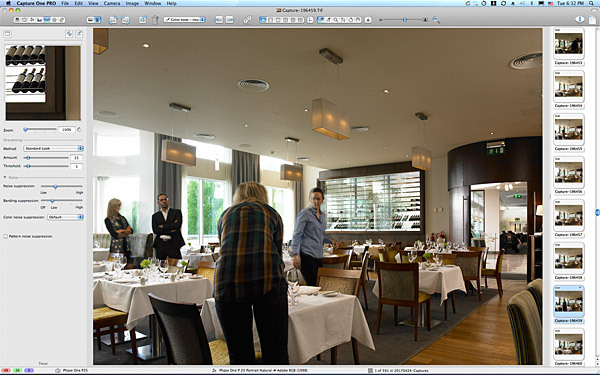 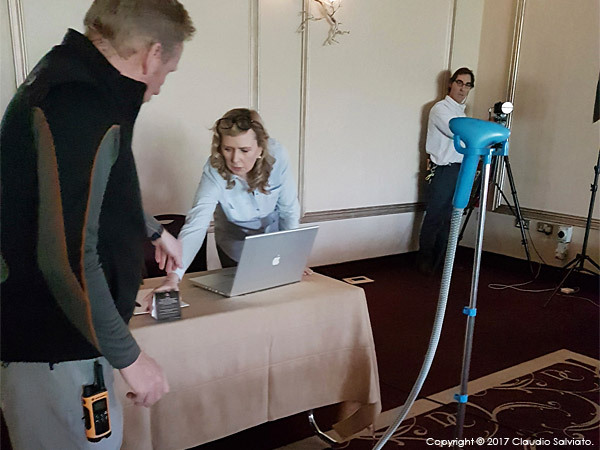 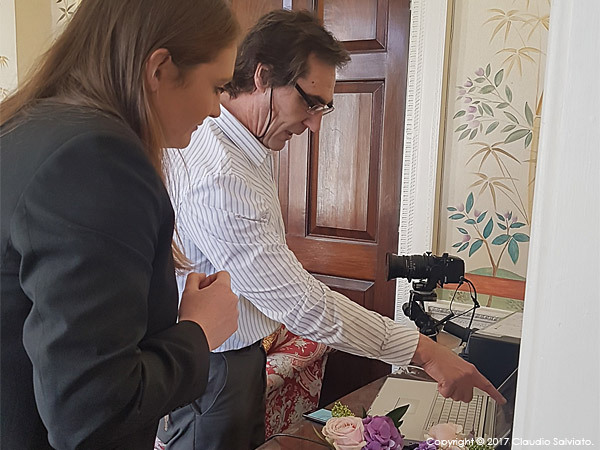 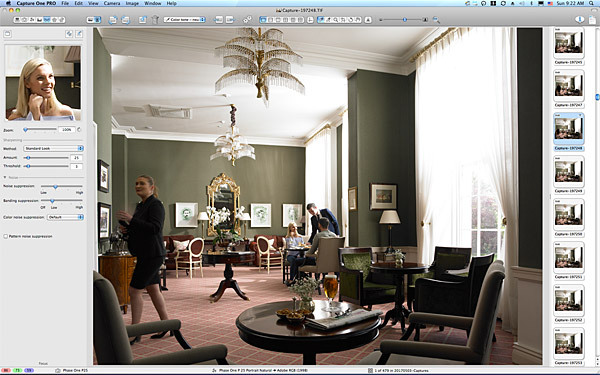 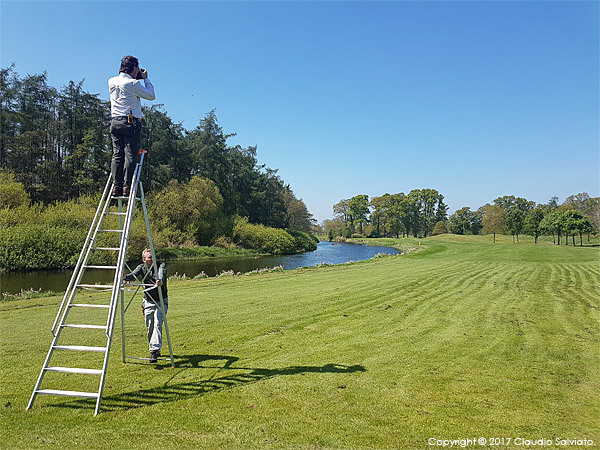 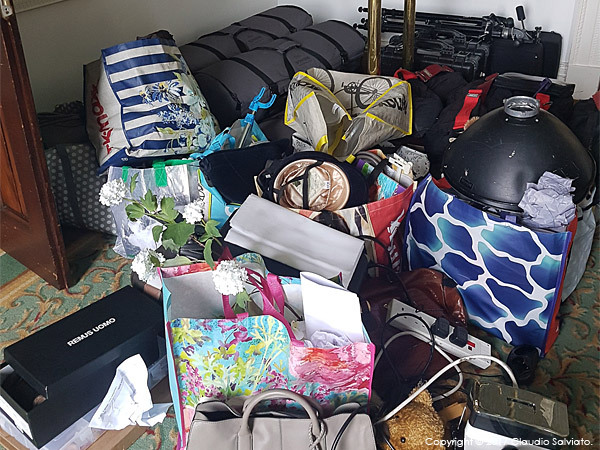 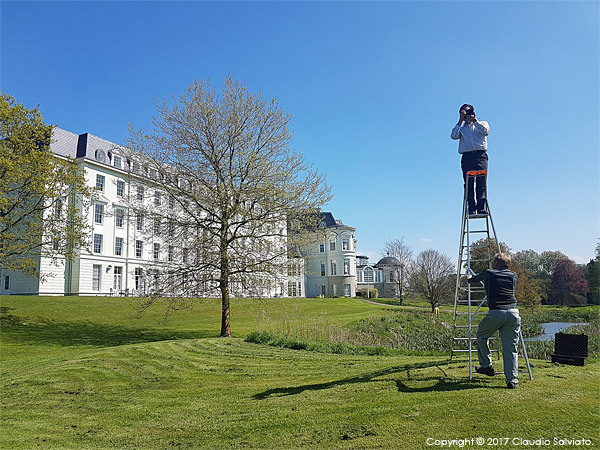 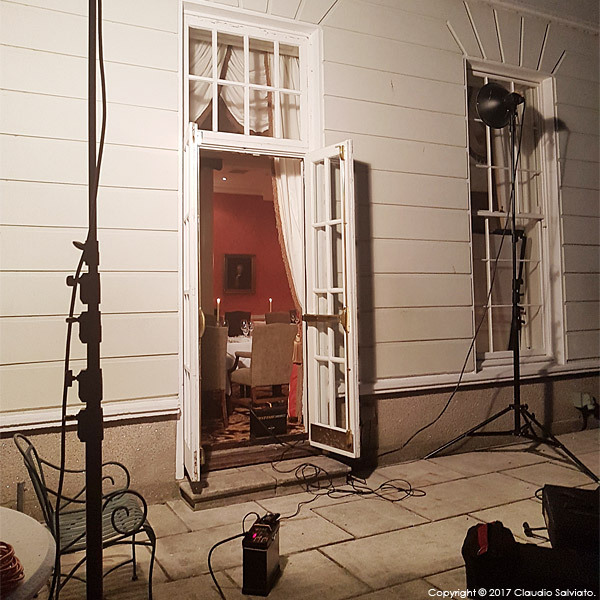 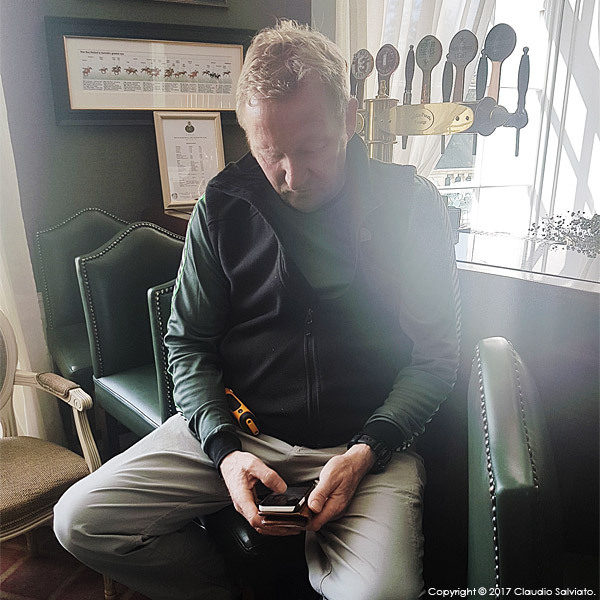 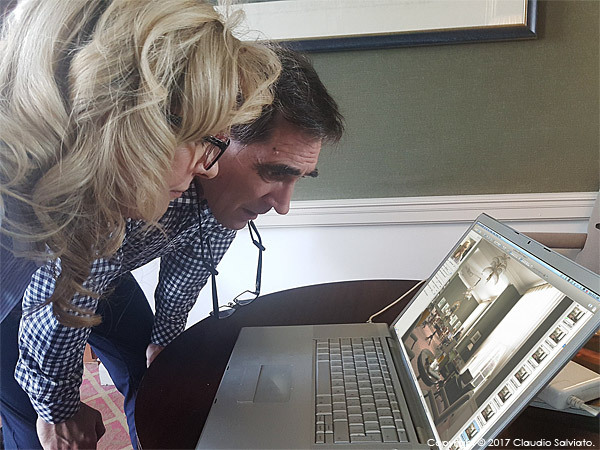 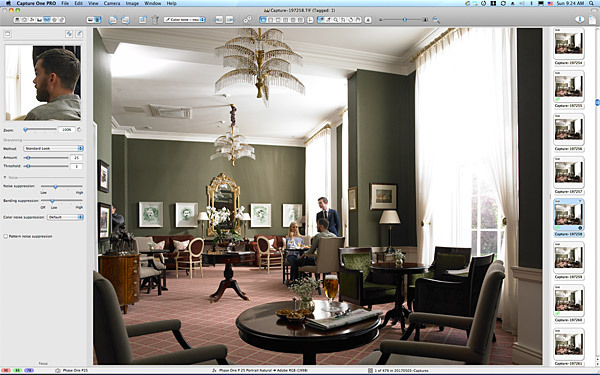 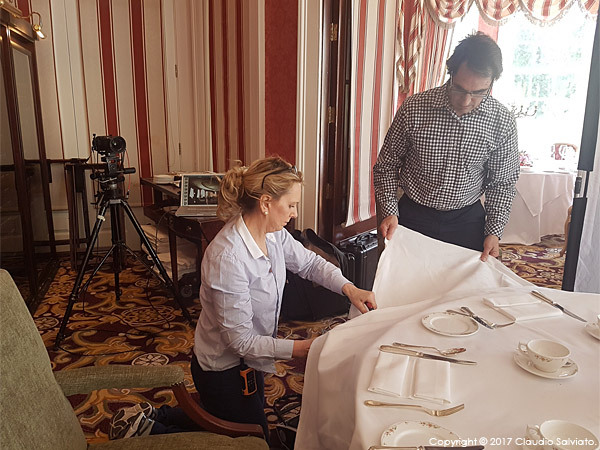 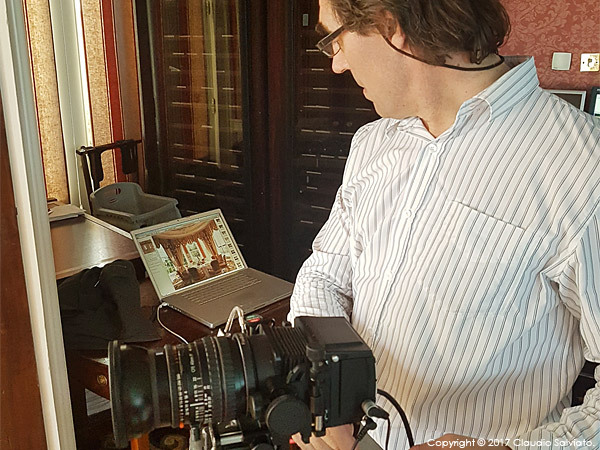 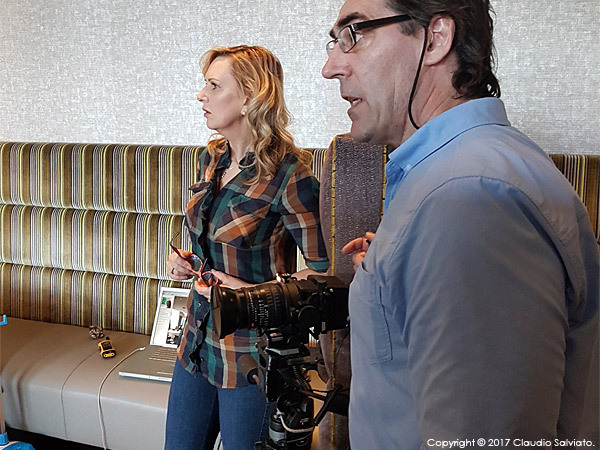 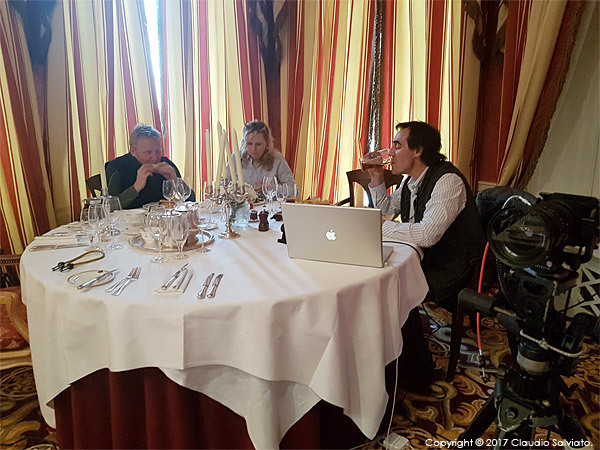 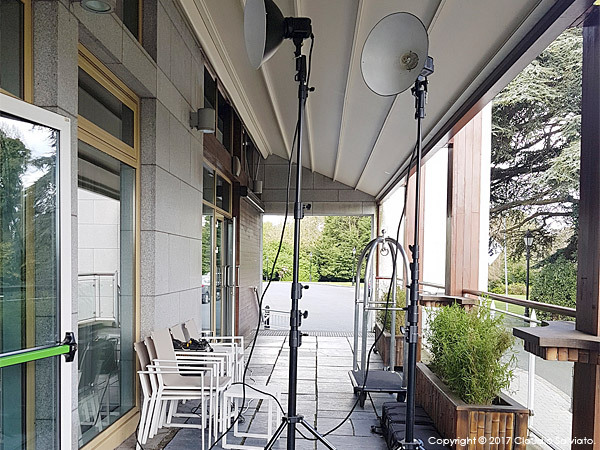 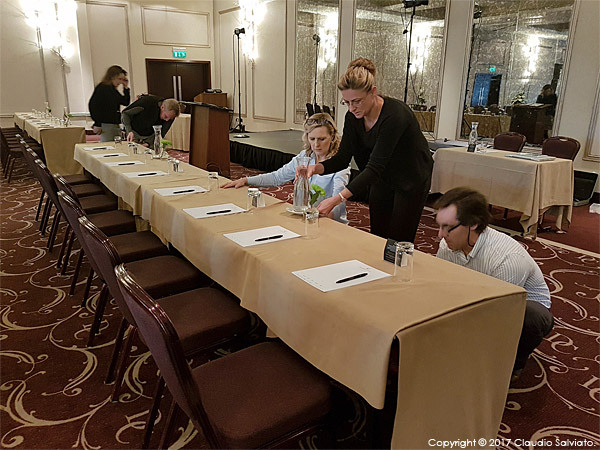 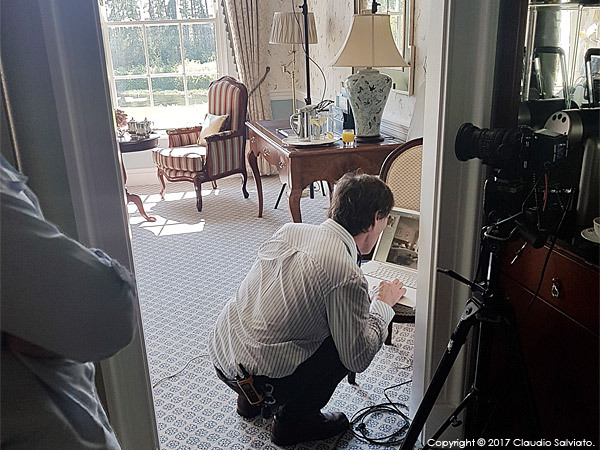 I usually just talk about the work that we would do on the day of the shoot – but in many cases, that is just the final part, as the actual job may have started many months ago – and the work that the client would have done may have even started long before that. 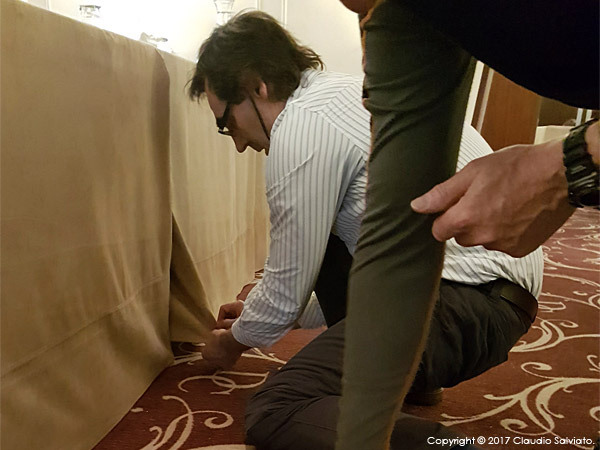 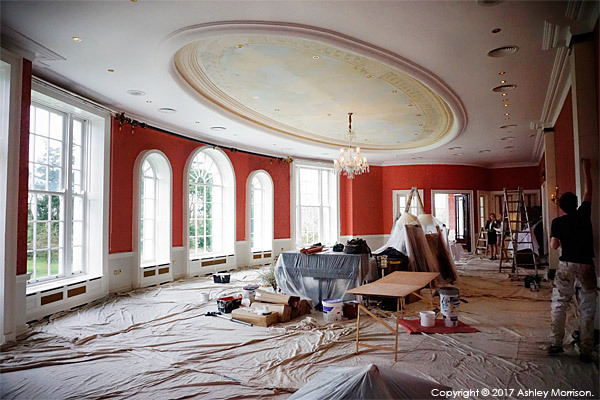 .. they were busy decorating their hotel. 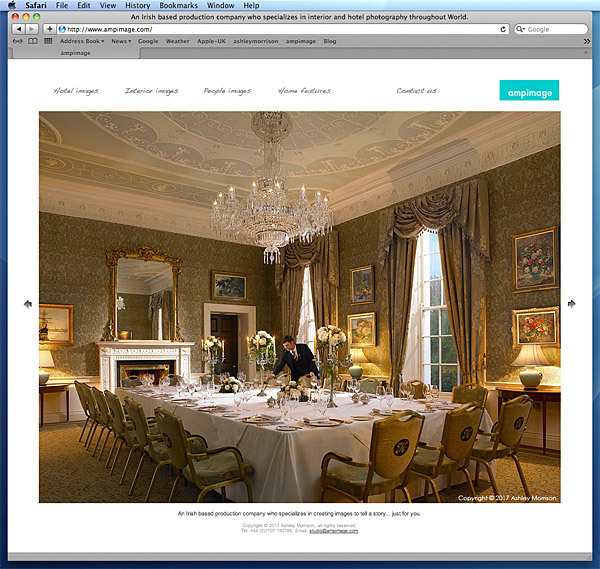 .. to put into words what they wanted to say to their guests about this wonderful room. 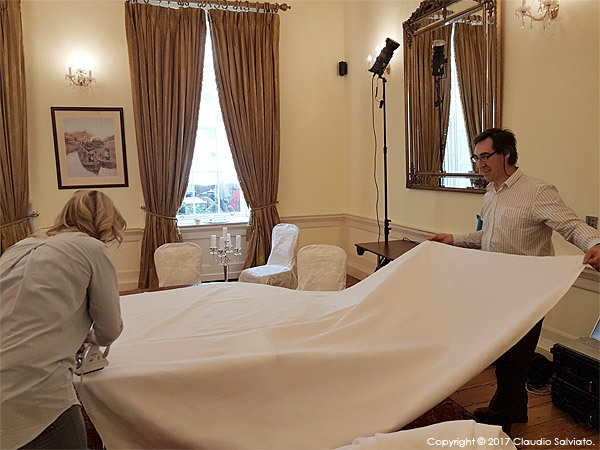 So this one was fairly simple, as the sky was blue and the sun was shining – which in this case meant the room was already beautifully lit too. 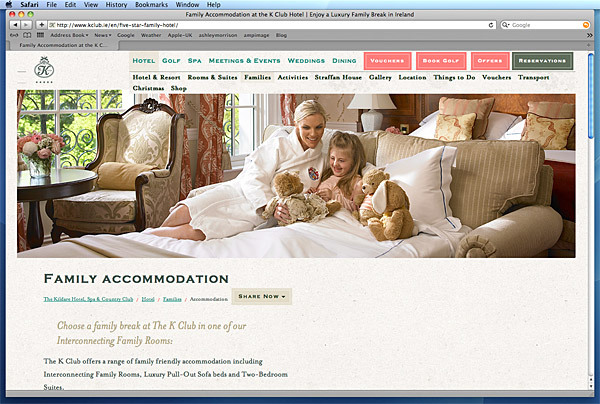 .. to show their Pantheon Suite. 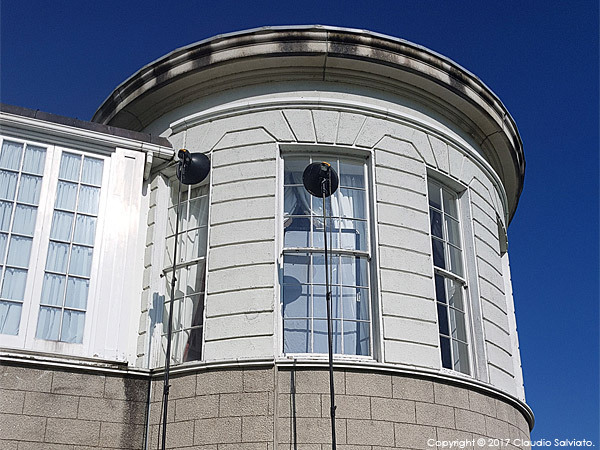 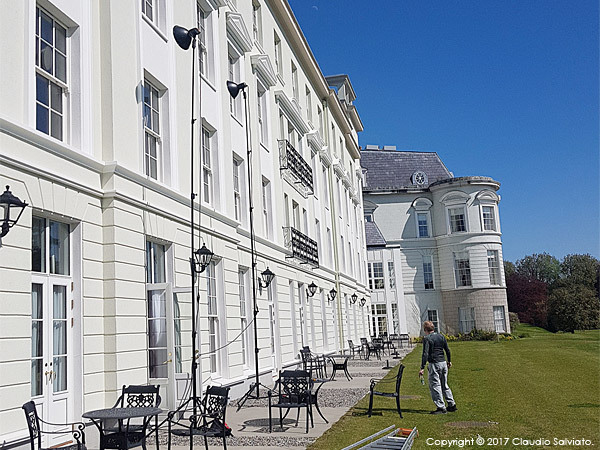 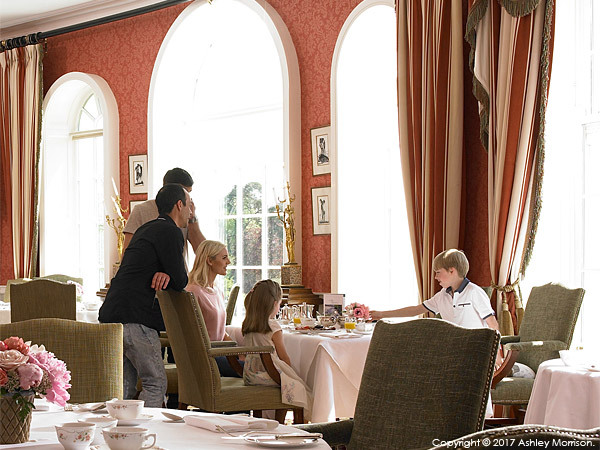 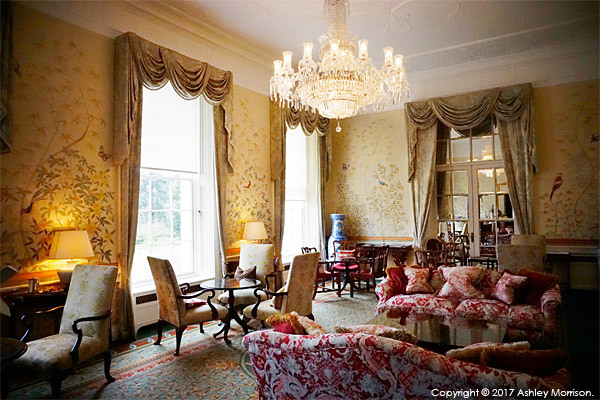 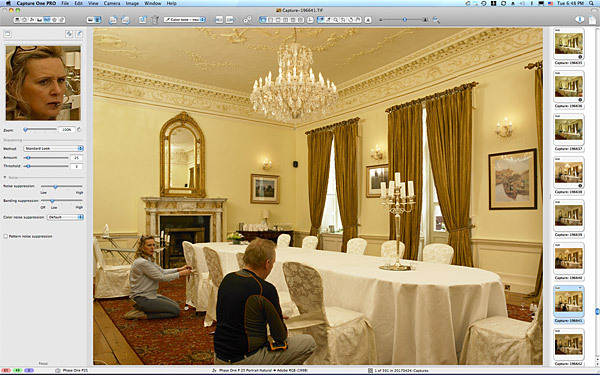 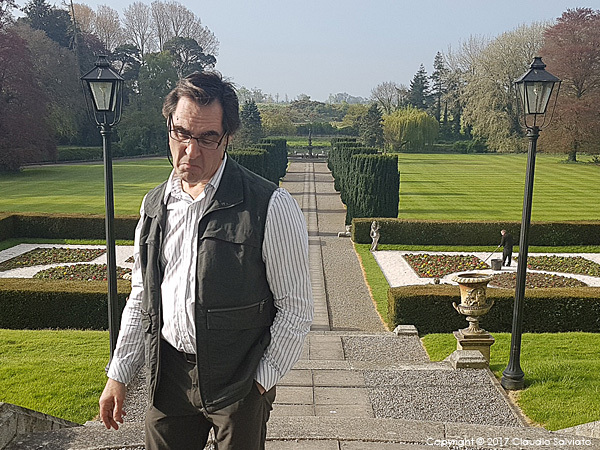 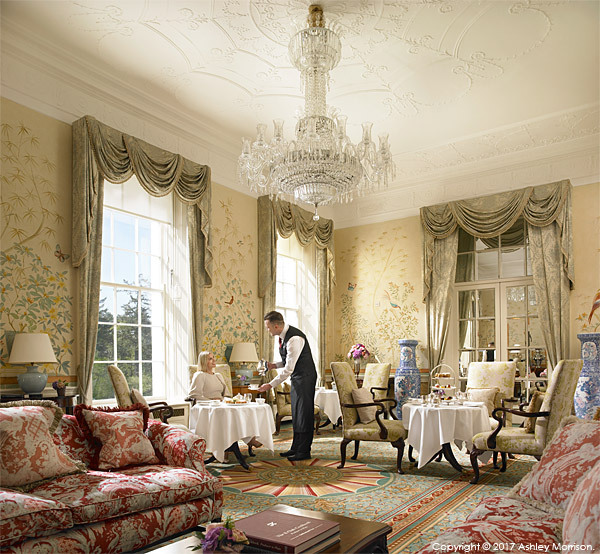 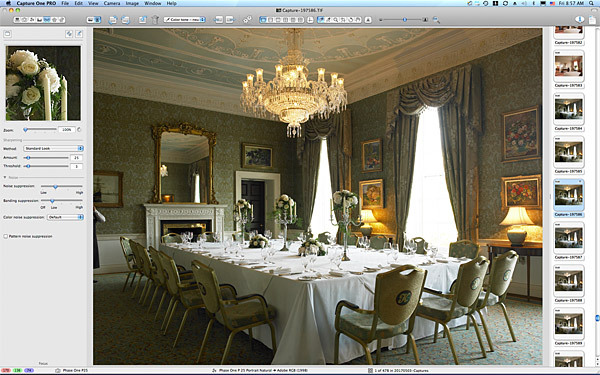 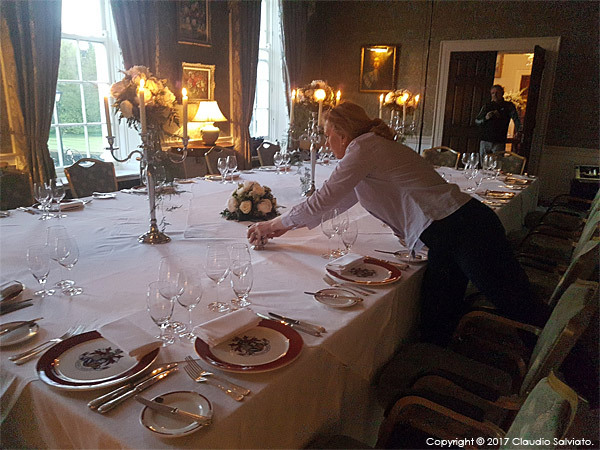 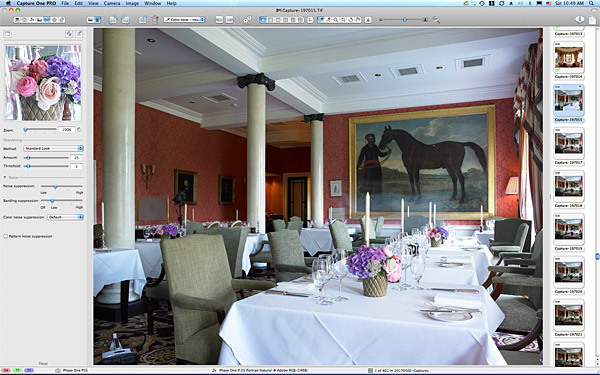 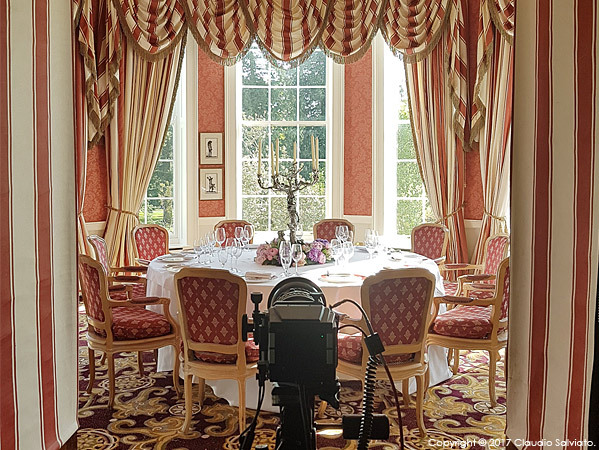 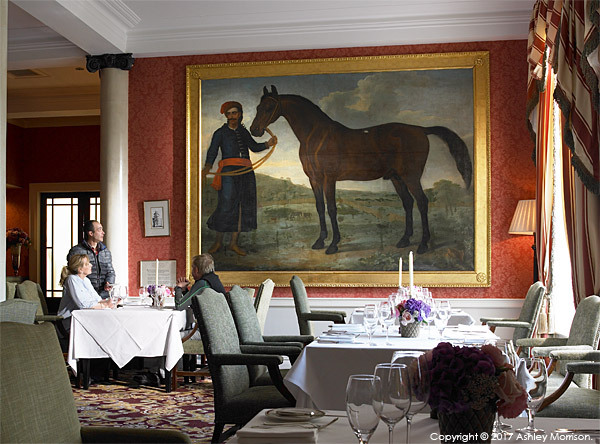 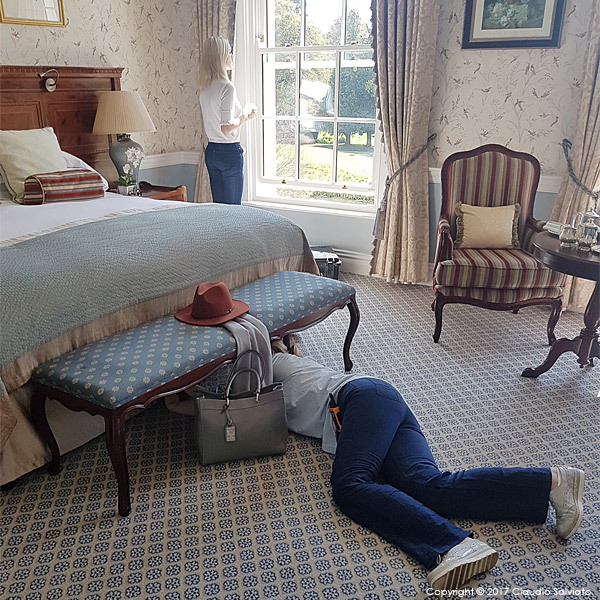 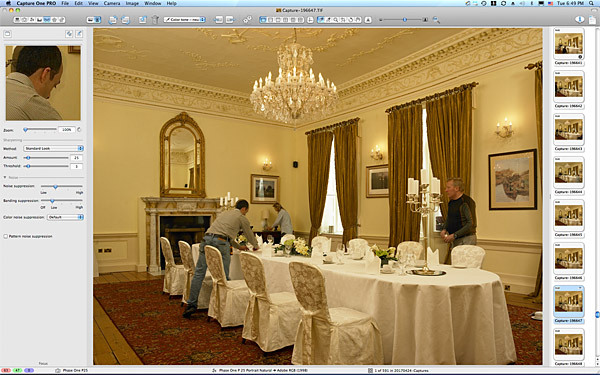 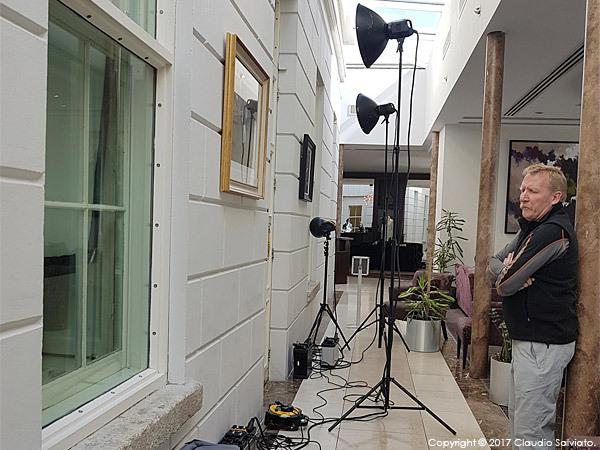 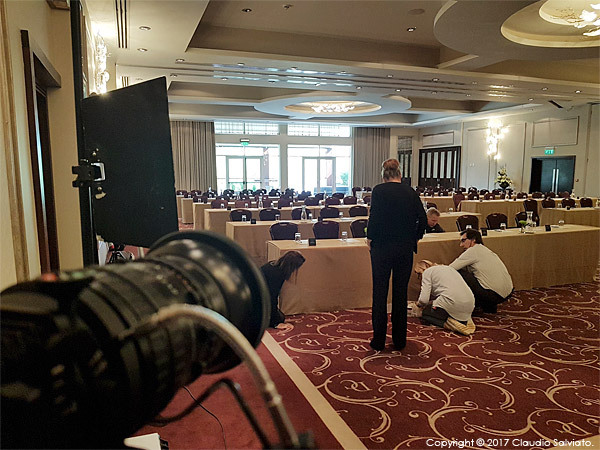 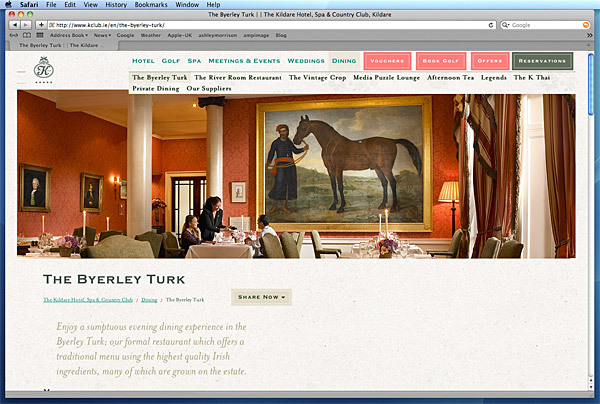 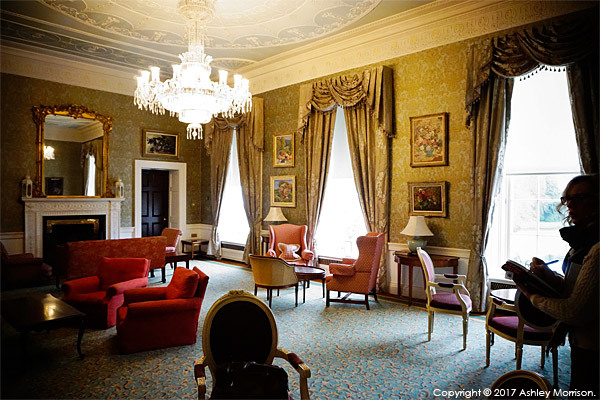 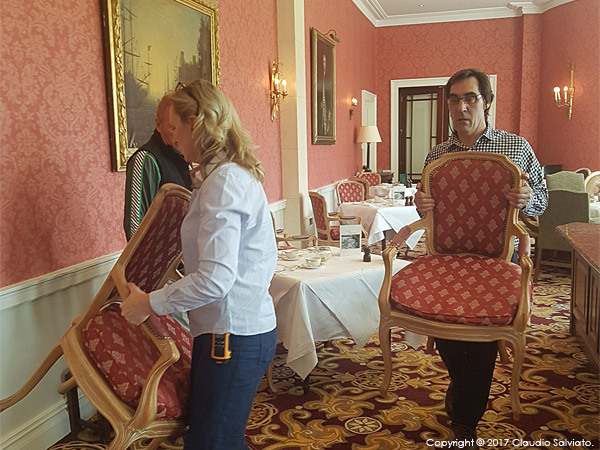 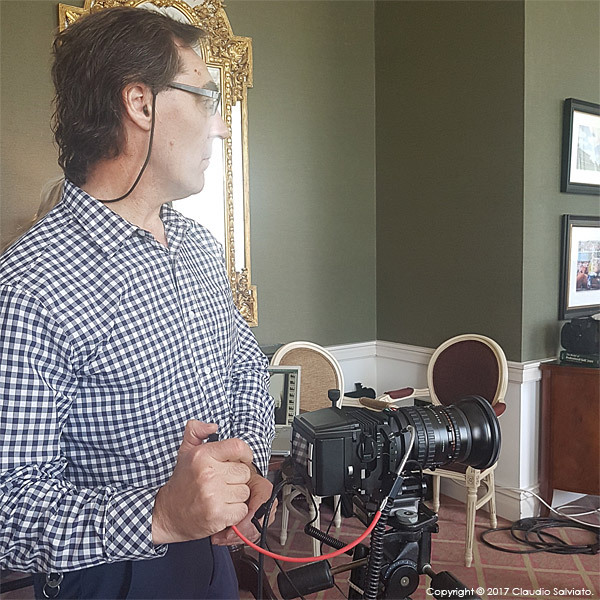 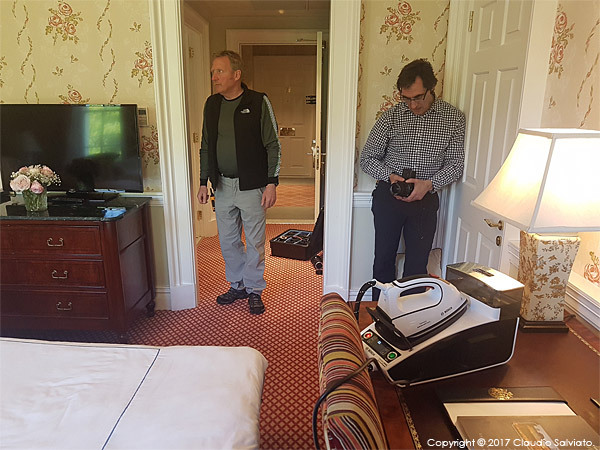 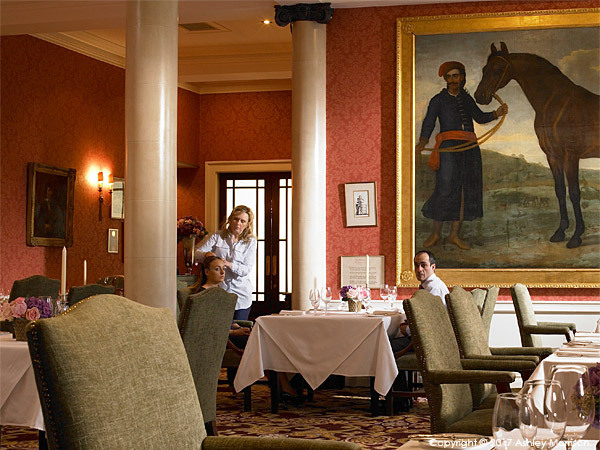 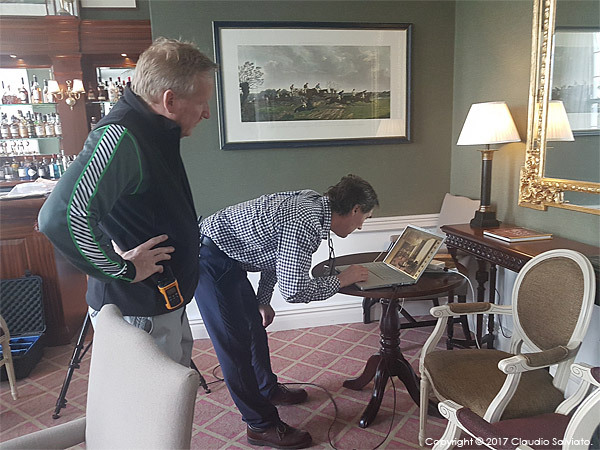 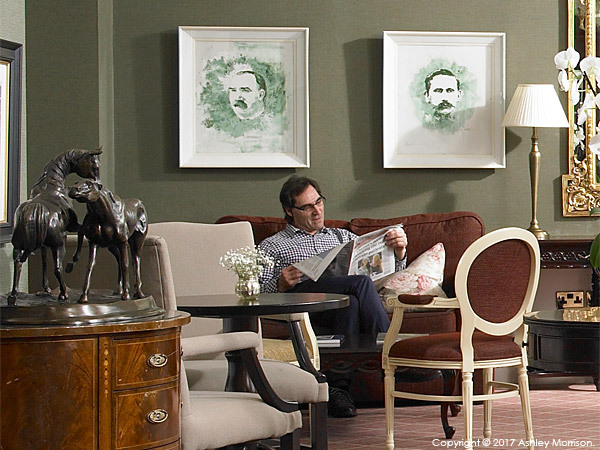 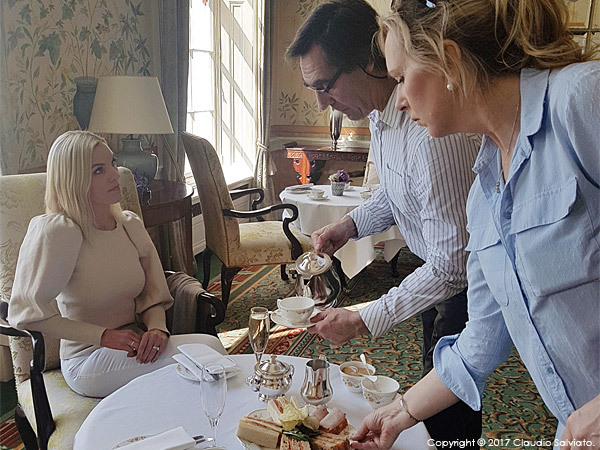 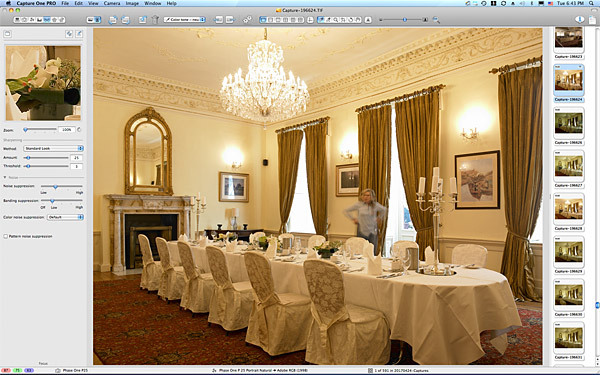 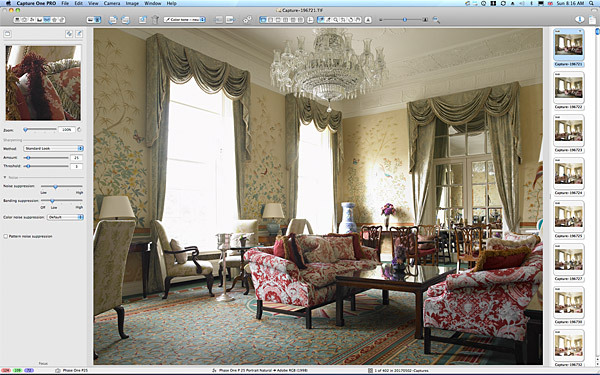 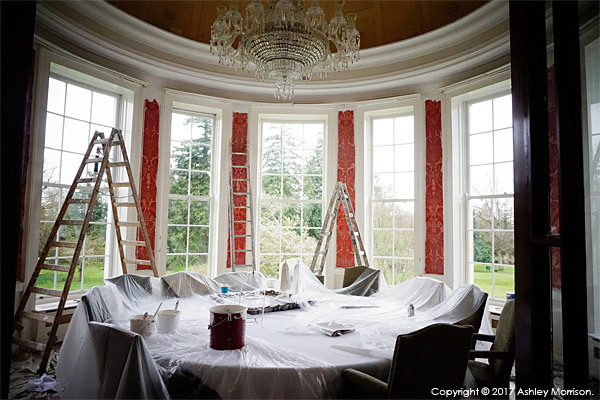 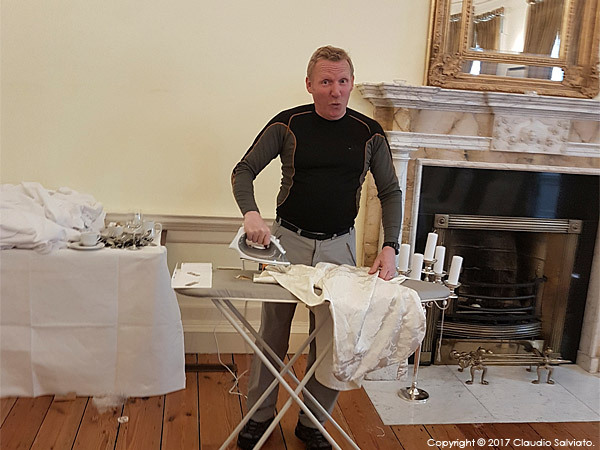 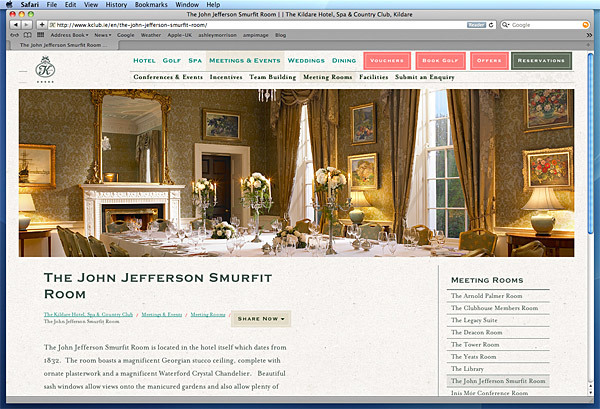 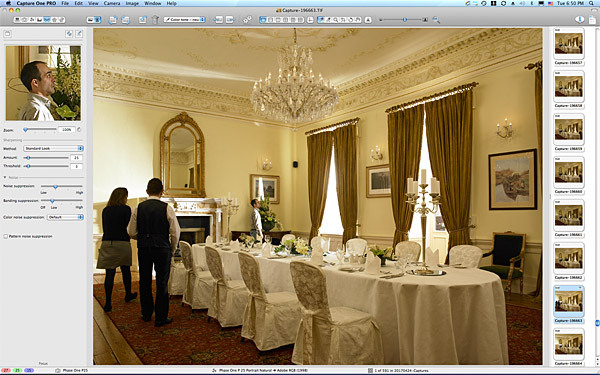 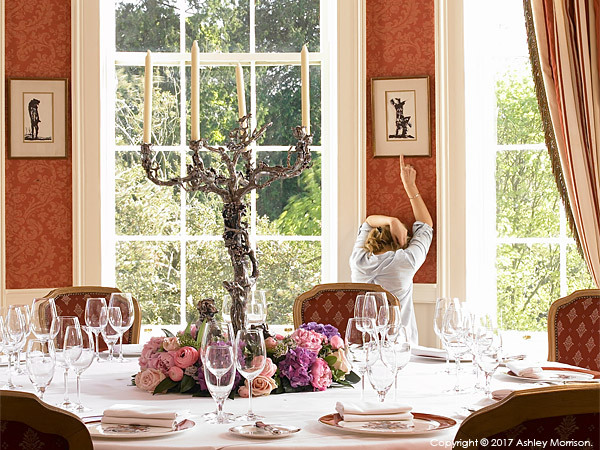 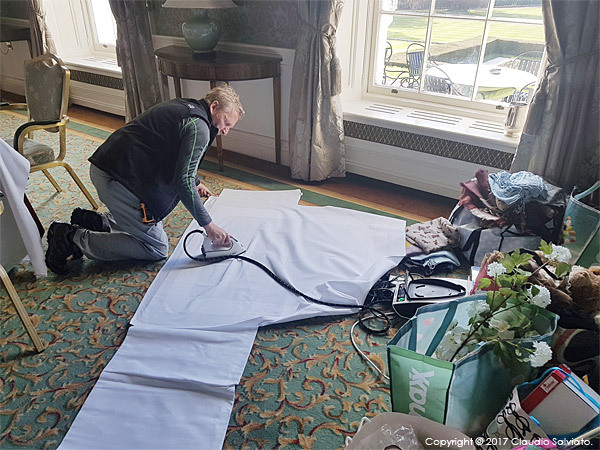 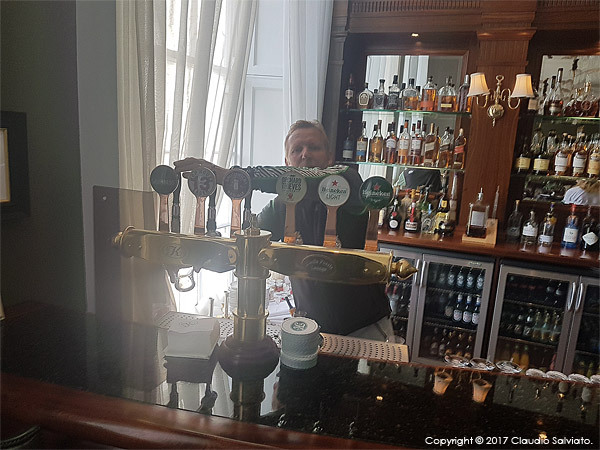 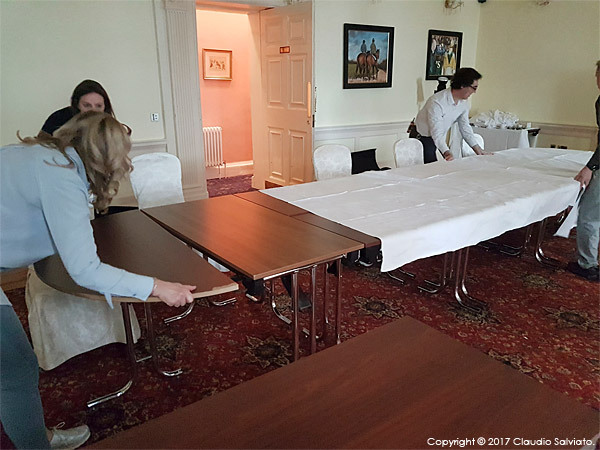 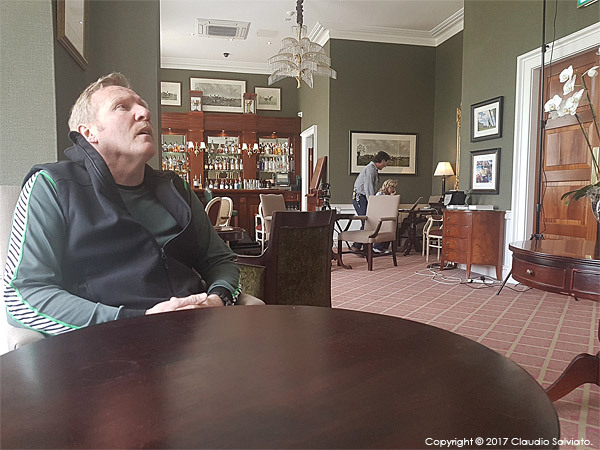 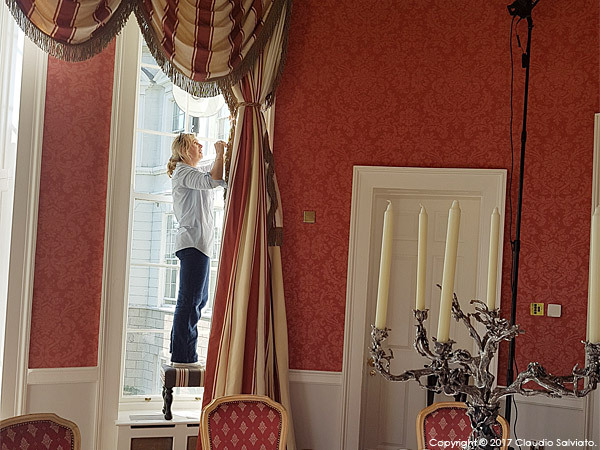 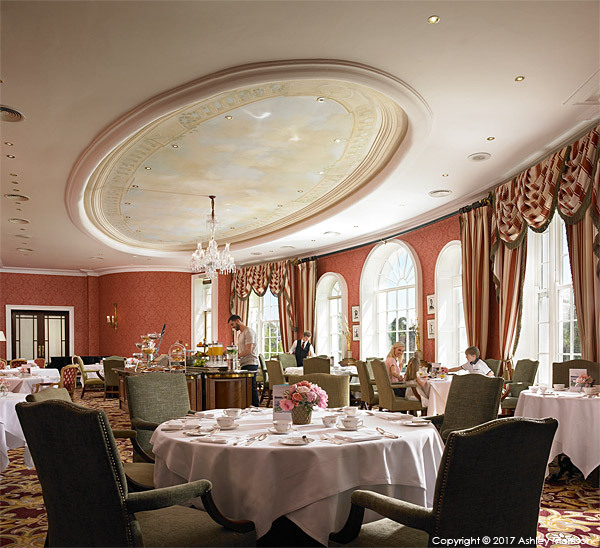 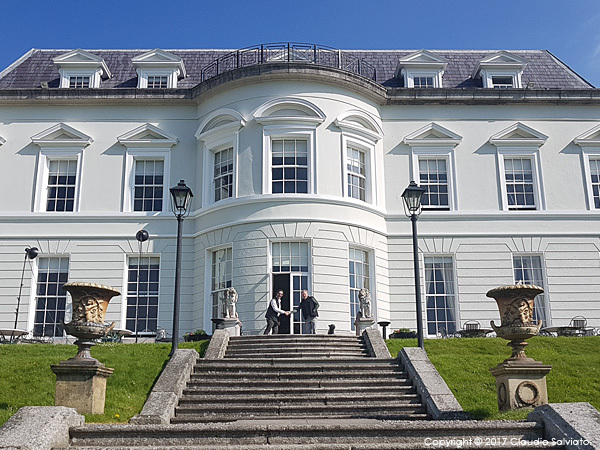 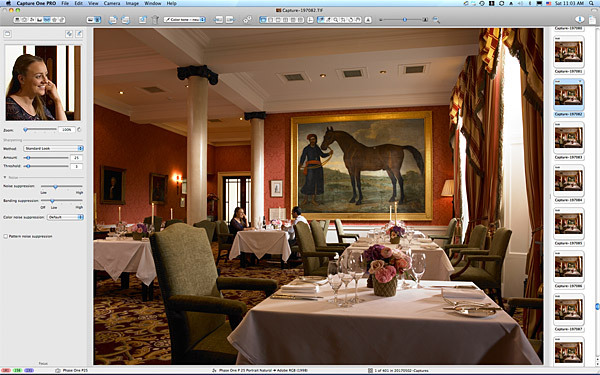 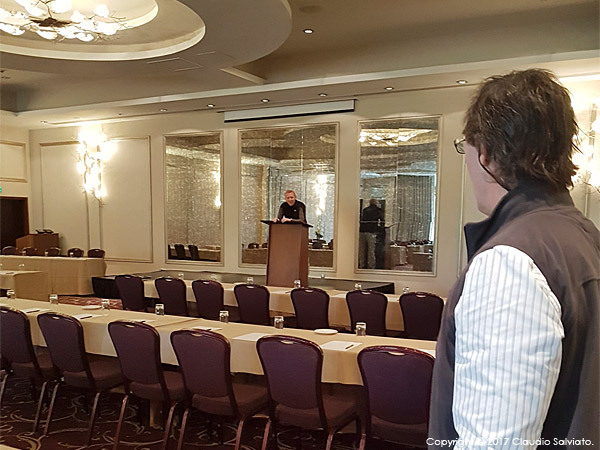 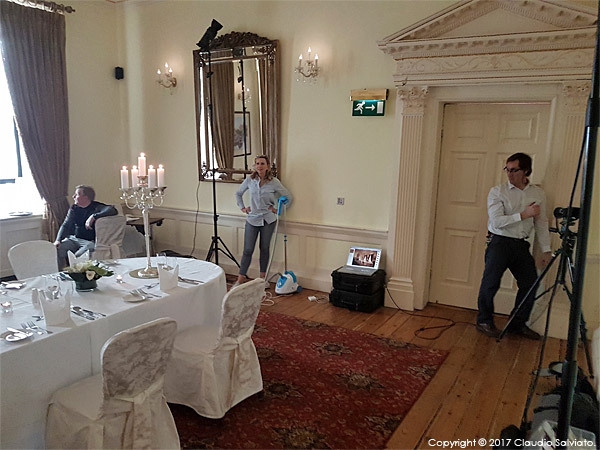 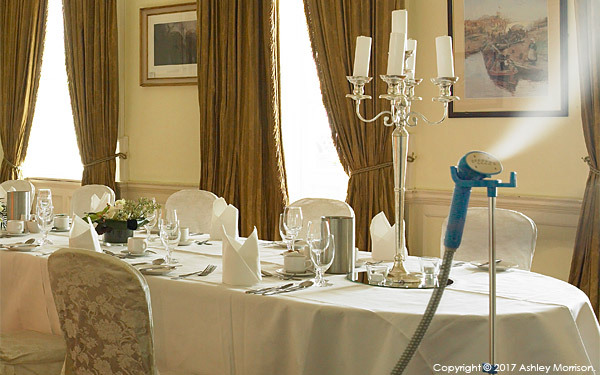 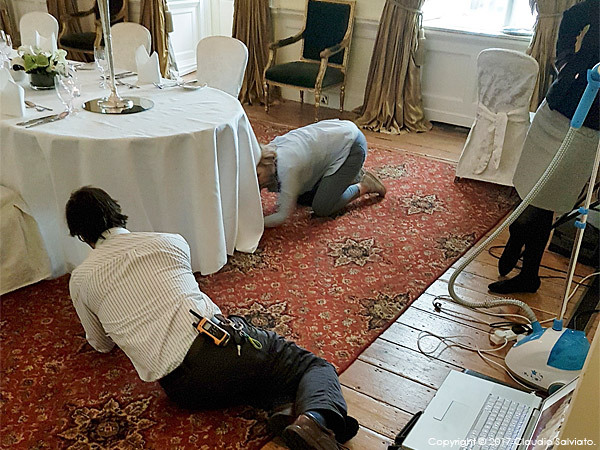 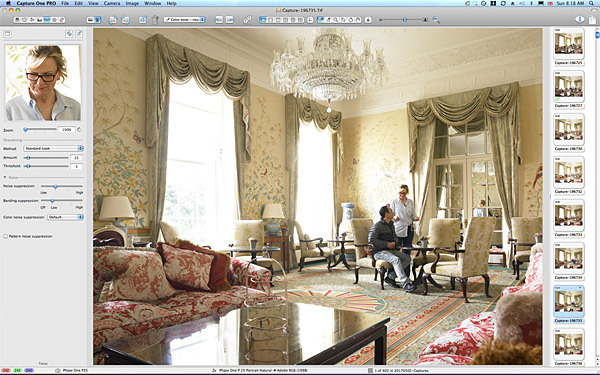 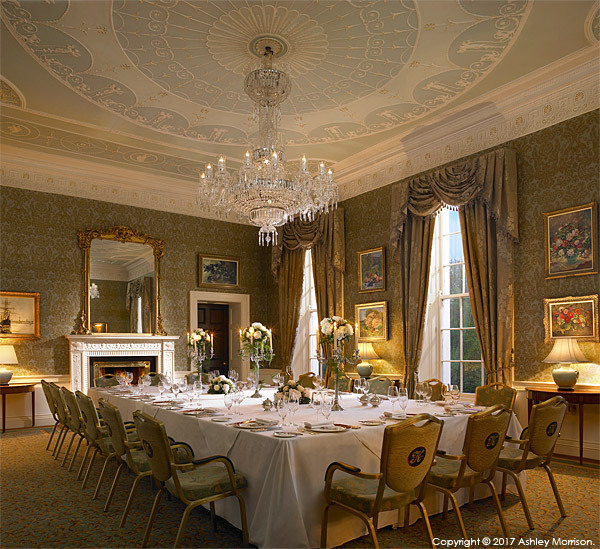 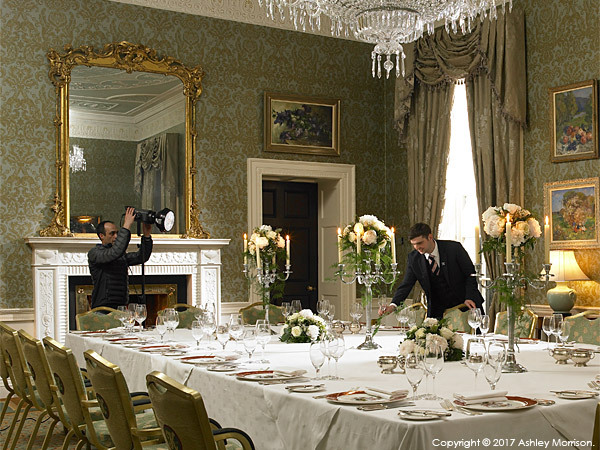 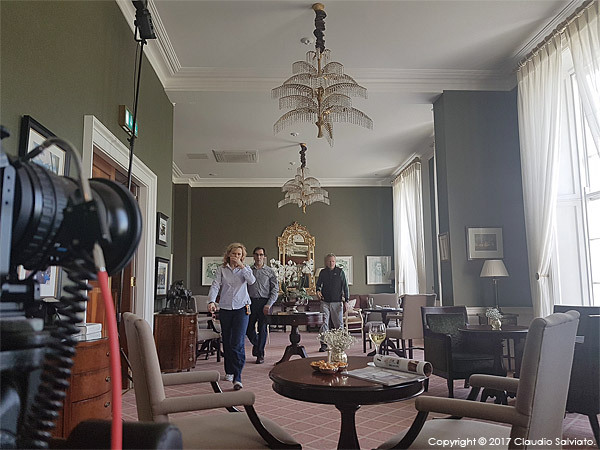 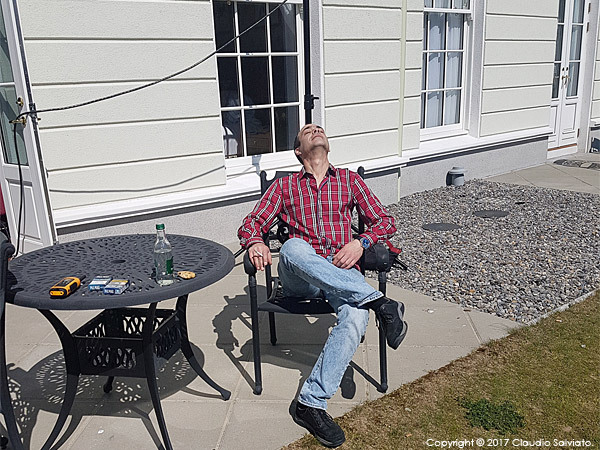 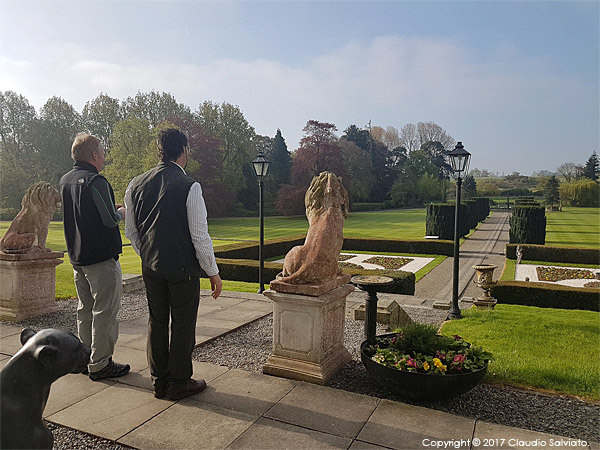 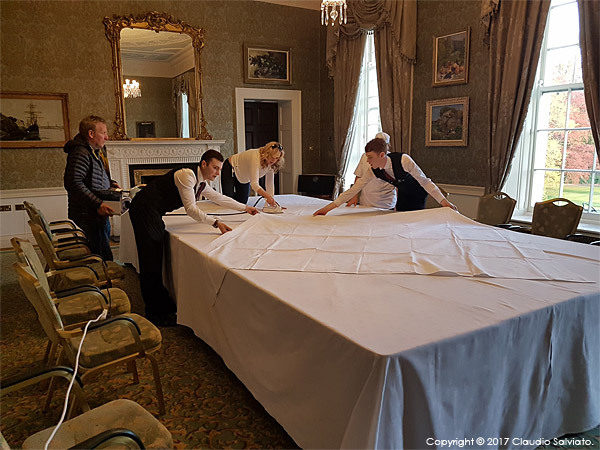 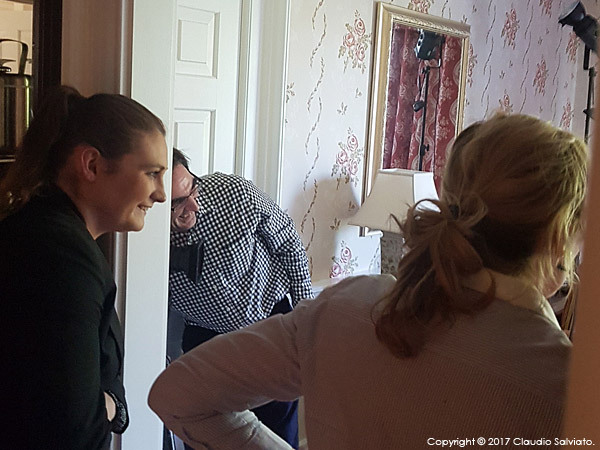 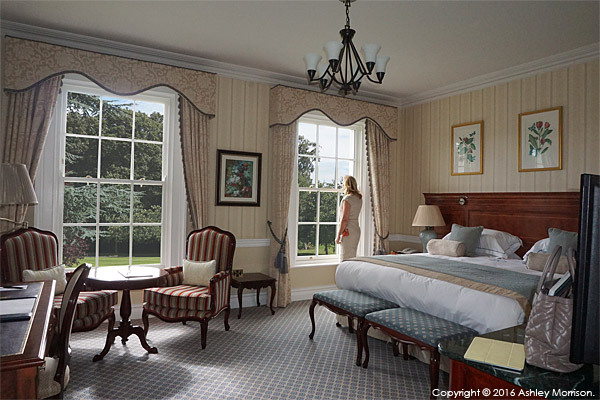 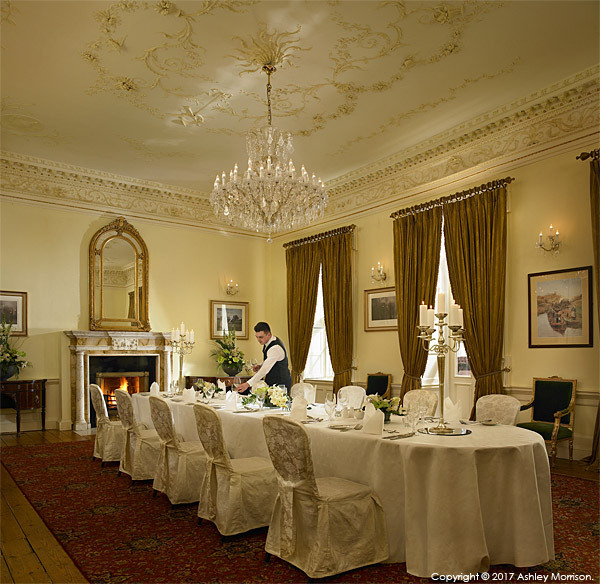 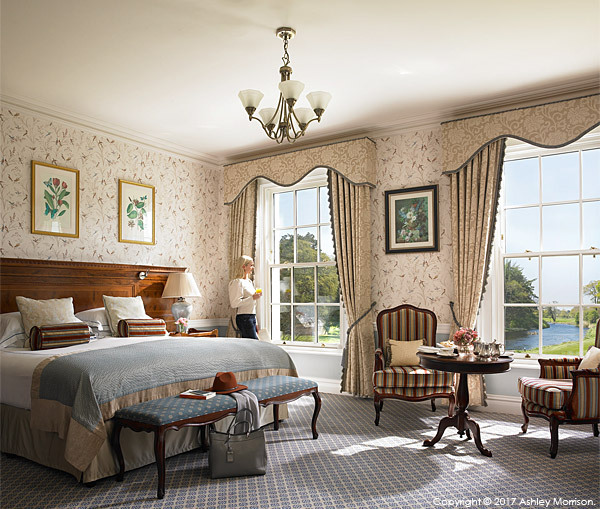 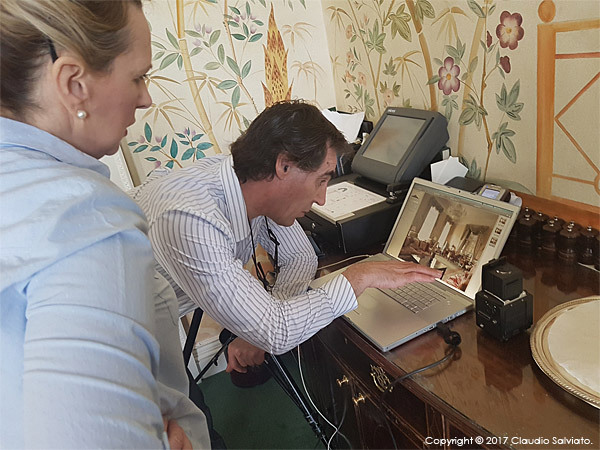 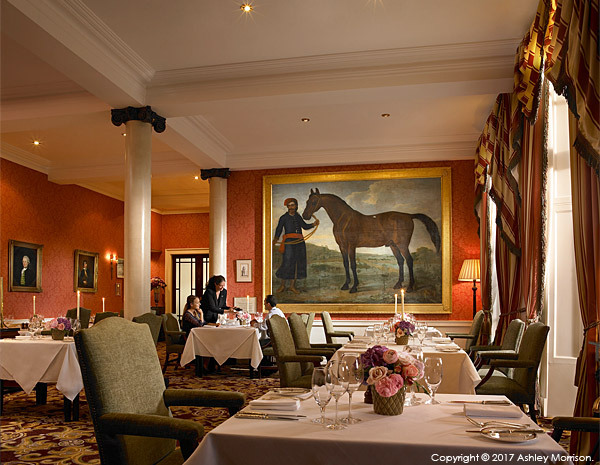 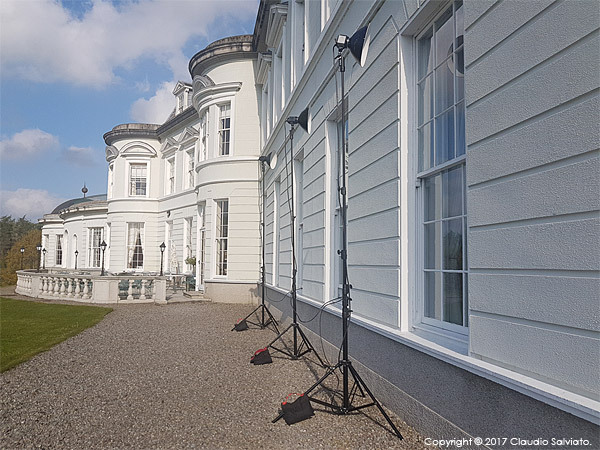 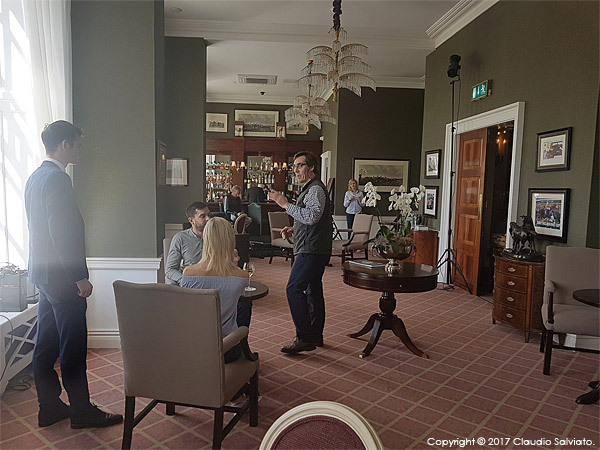 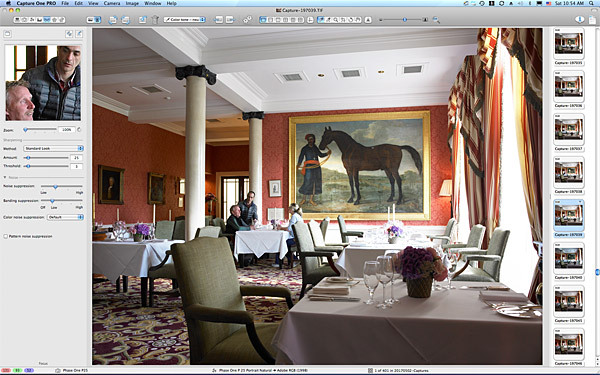 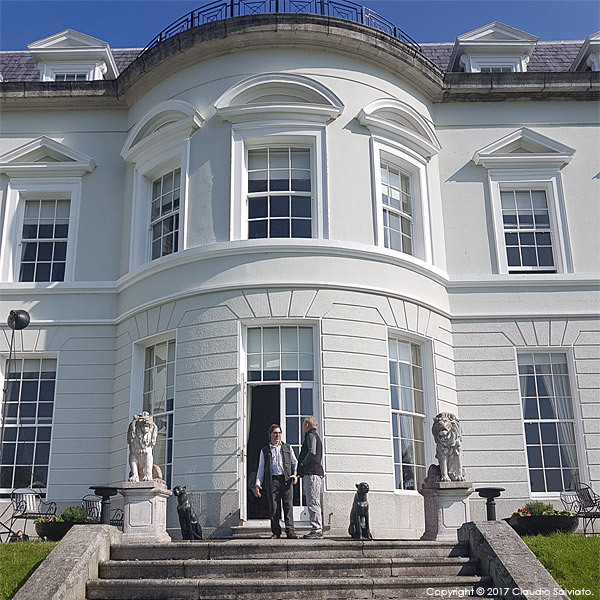 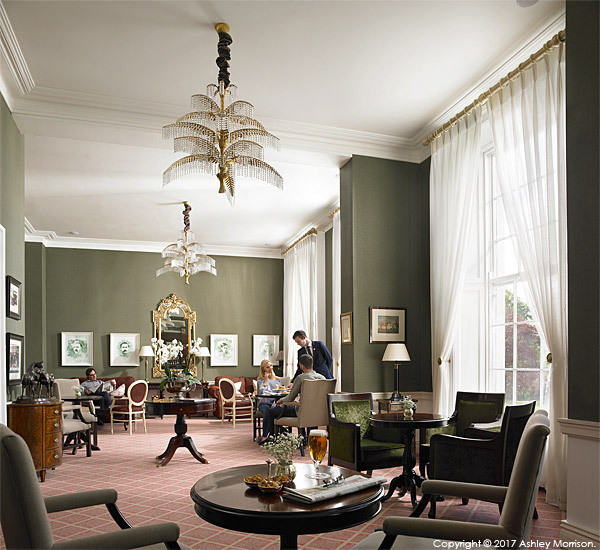 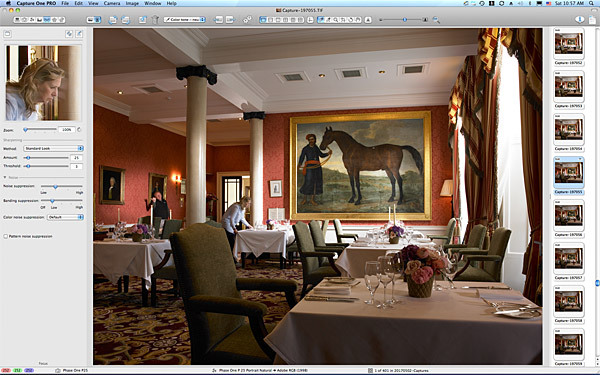 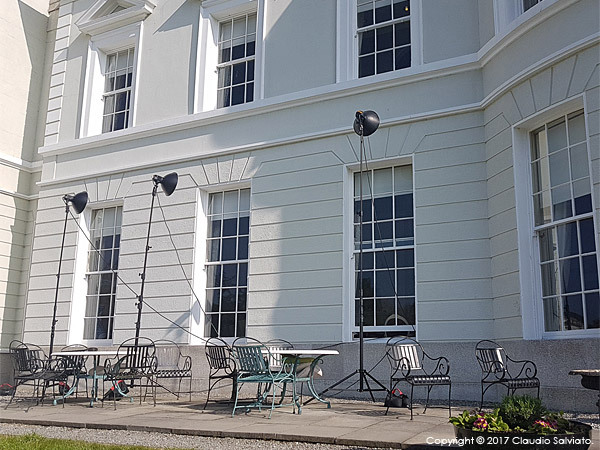 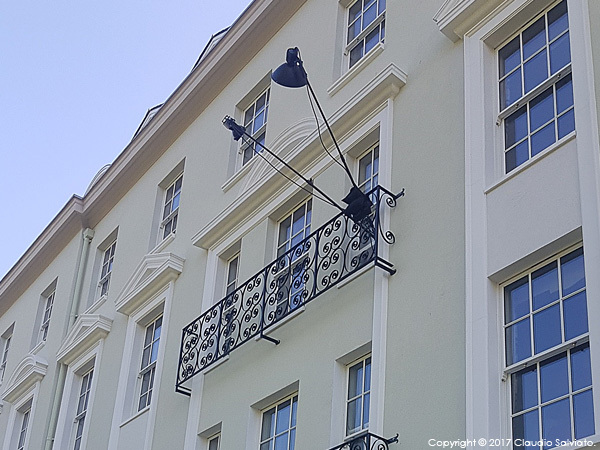 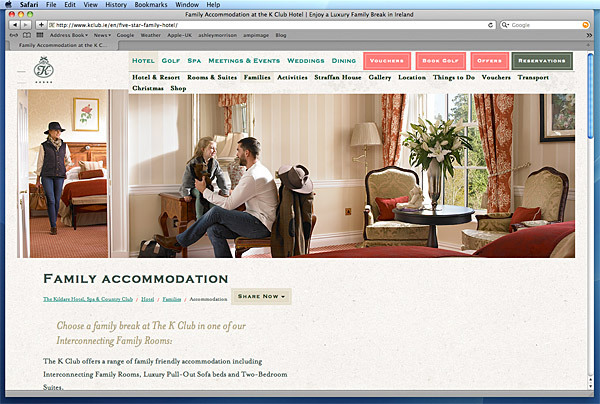 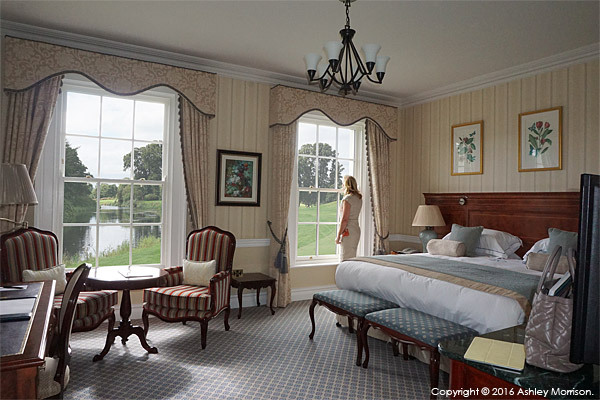 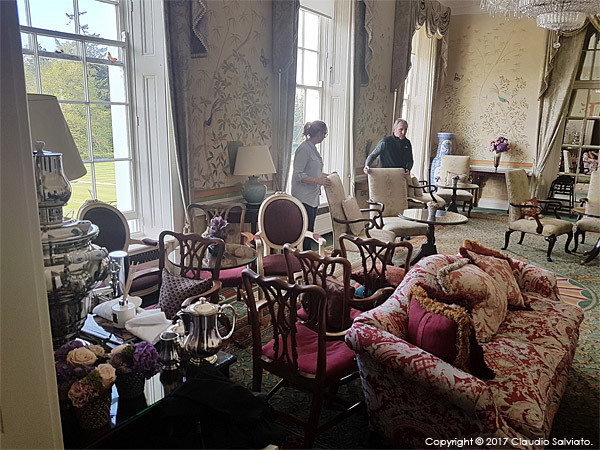 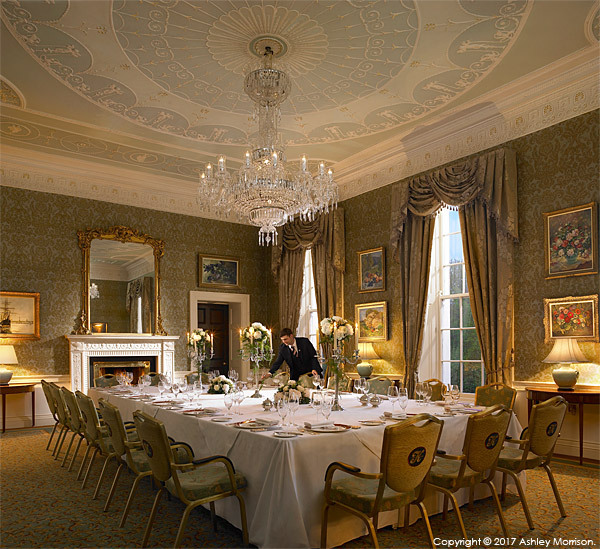 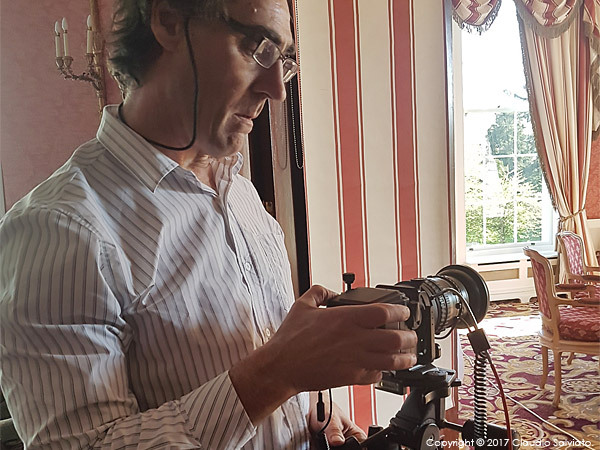 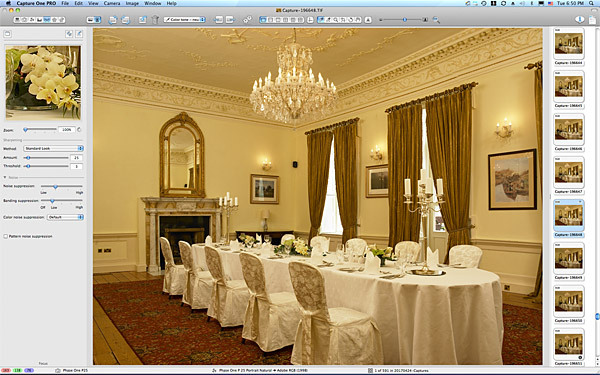 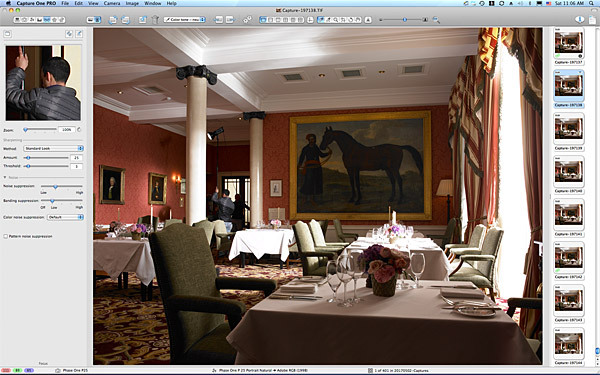 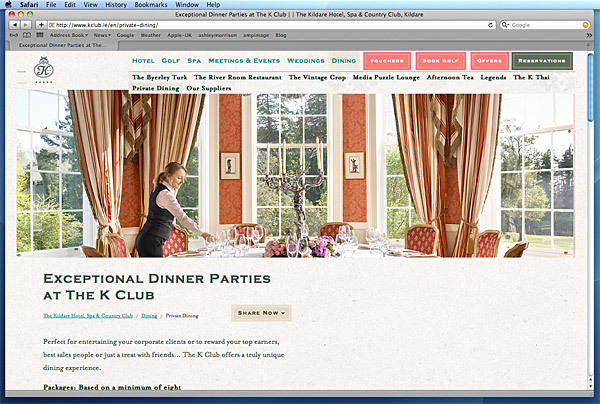 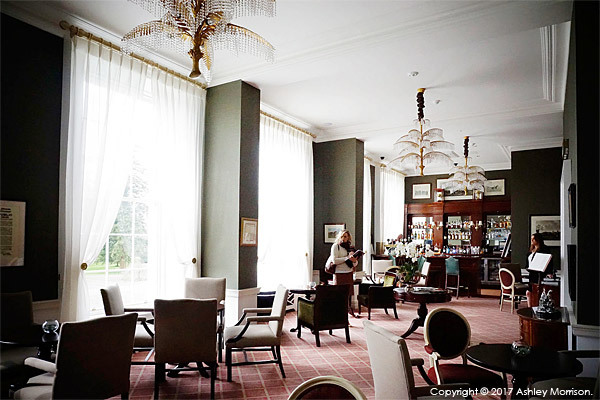 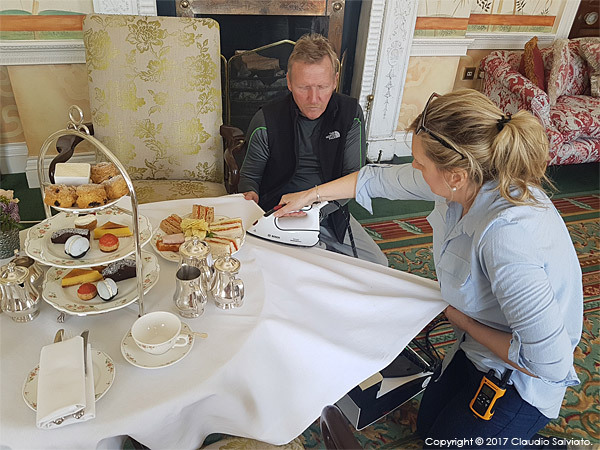 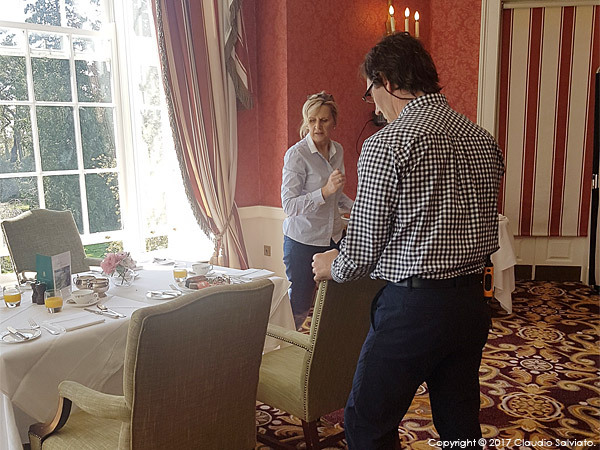 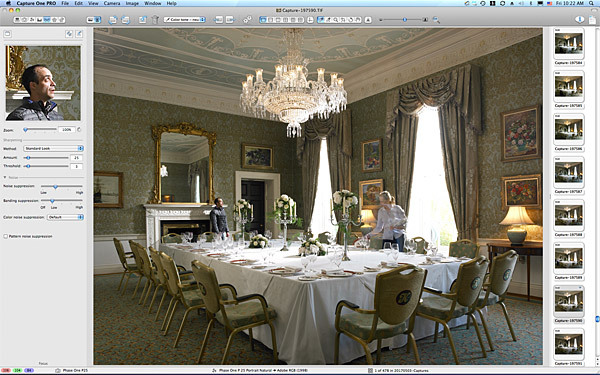 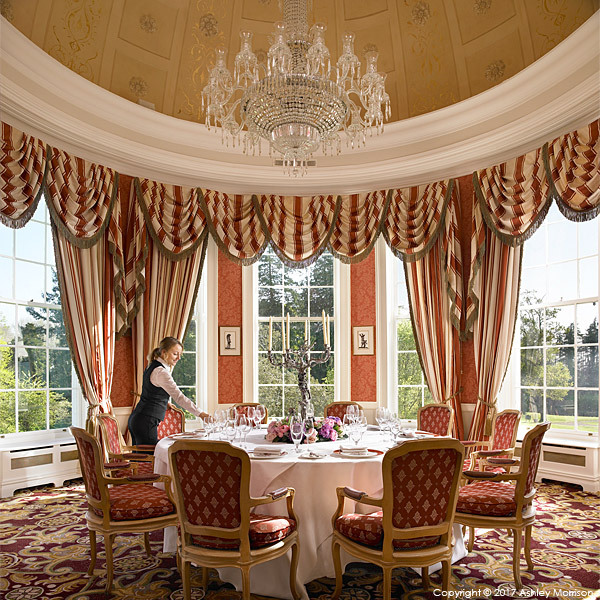 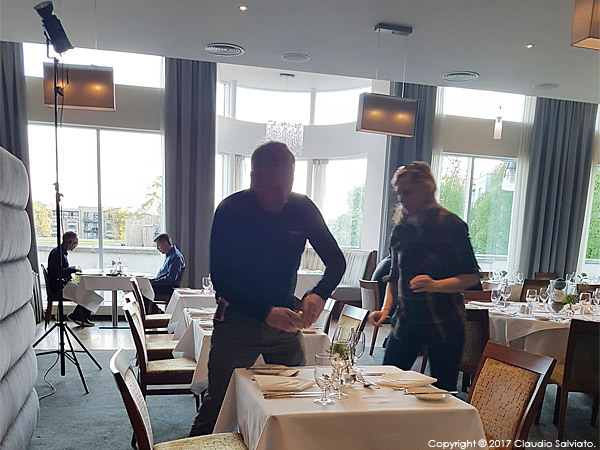 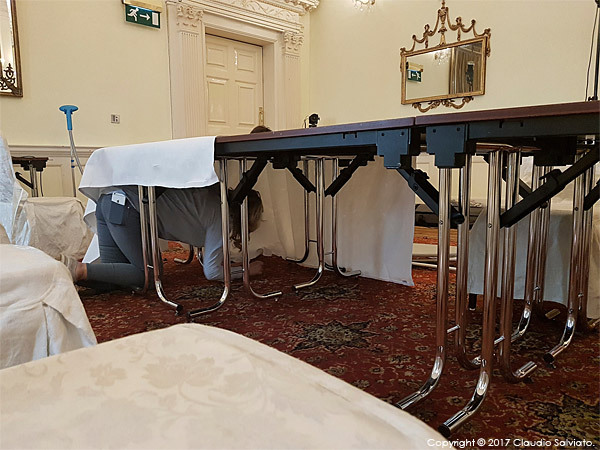 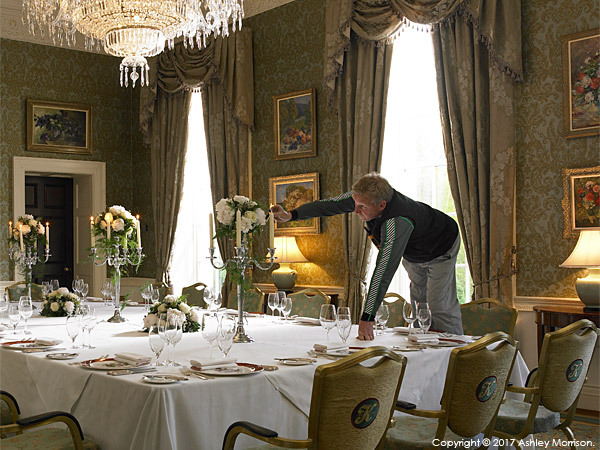 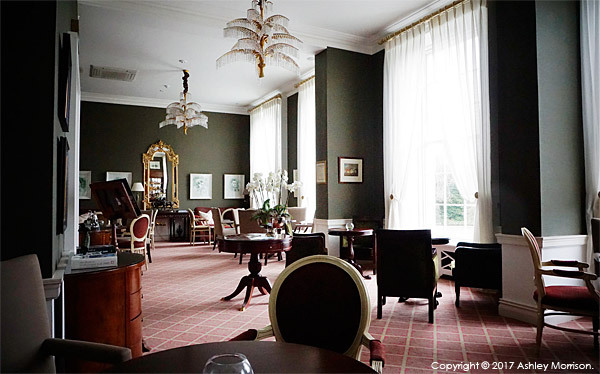 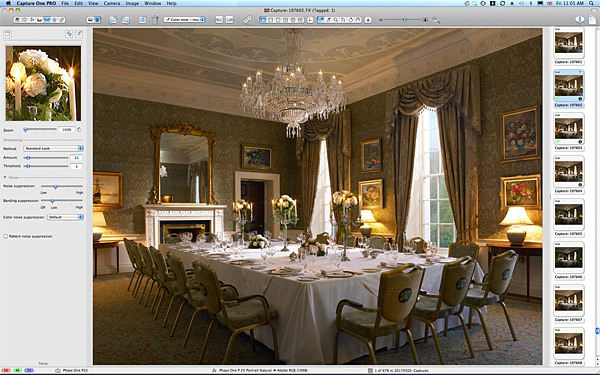 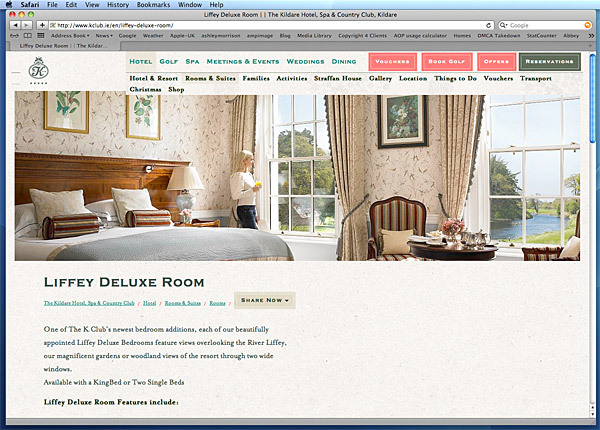 Last year when we were at The K Club, looking at Straffan House – which I talked about us shooting here: A dream come true – we also looked at one of the bedrooms in their hotel, which they called the Liffey Deluxe. 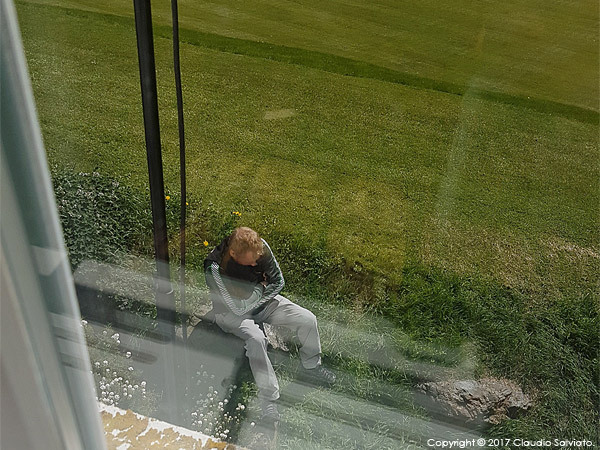 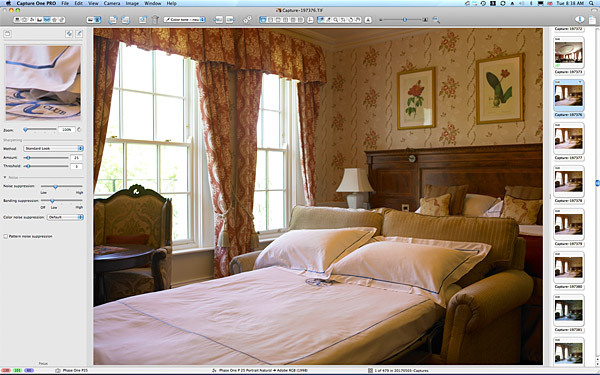 And the main reason for doing so, was because they felt the view outside the window made a difference, i.e. 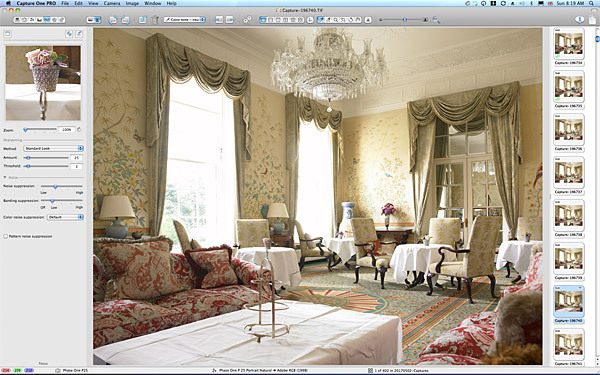 the River view on the left, the Woodland view on the right. 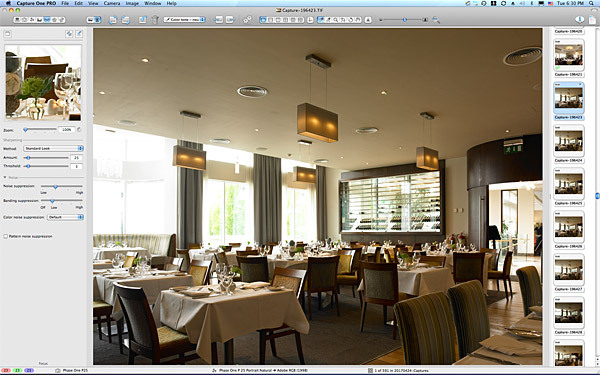 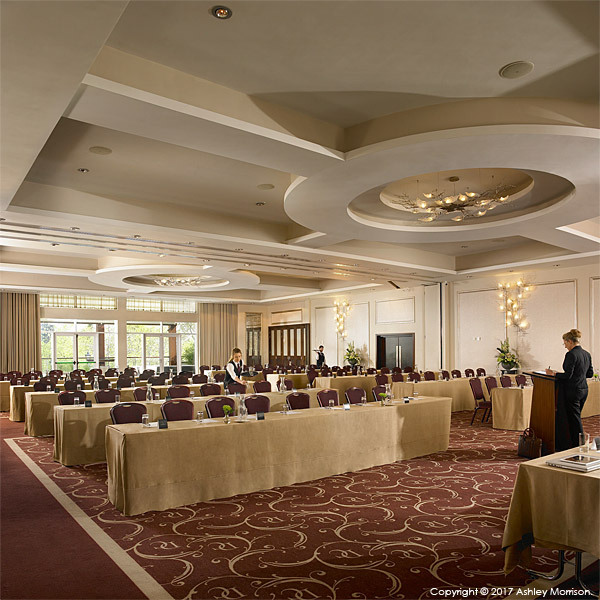 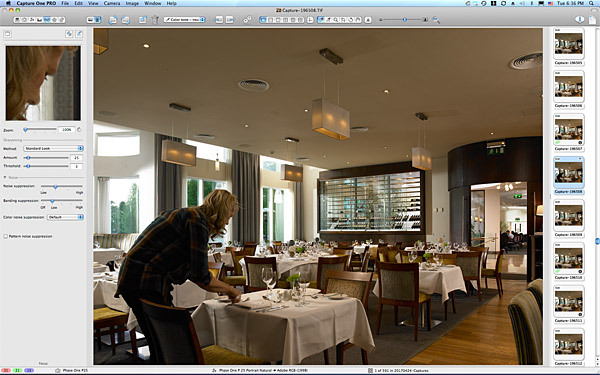 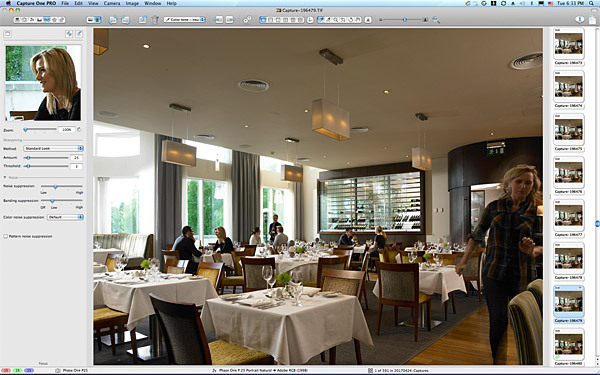 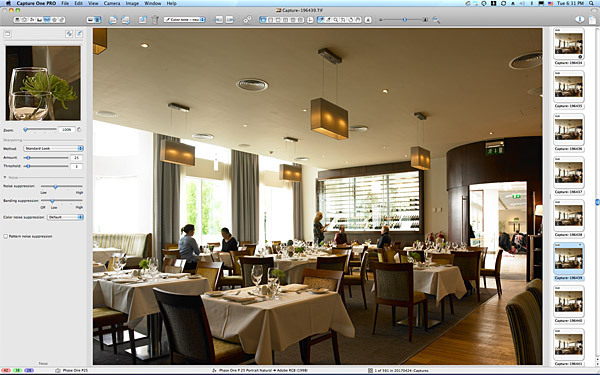 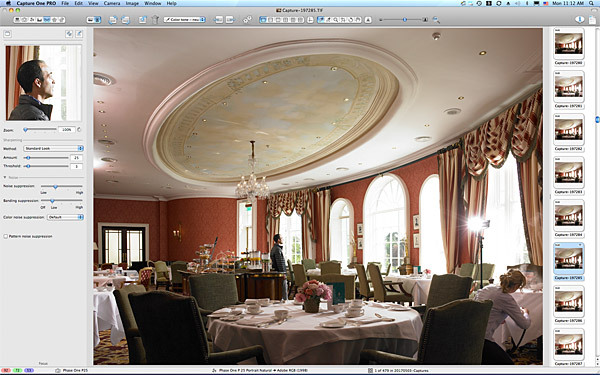 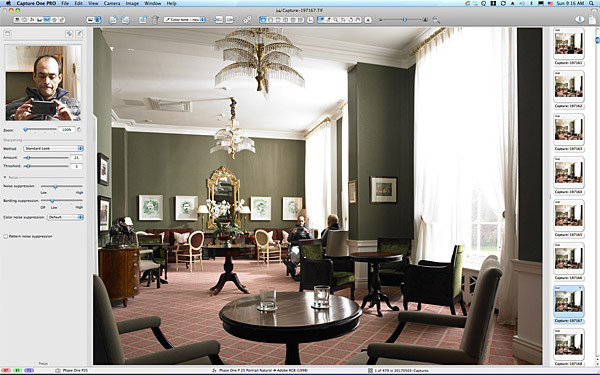 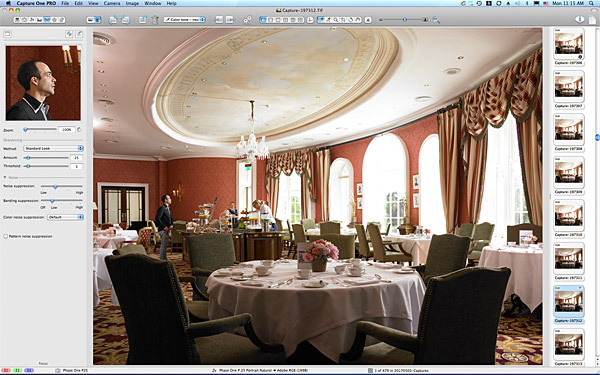 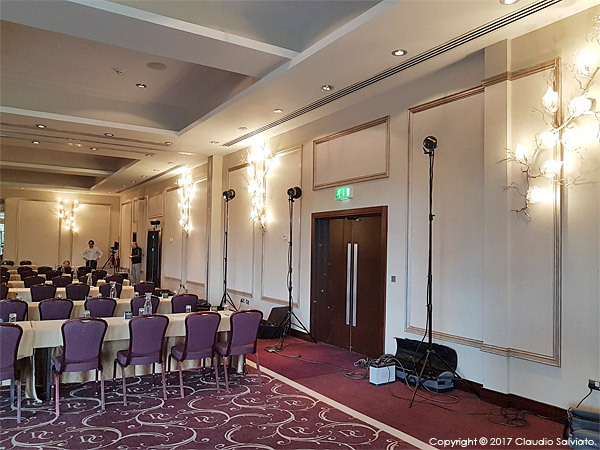 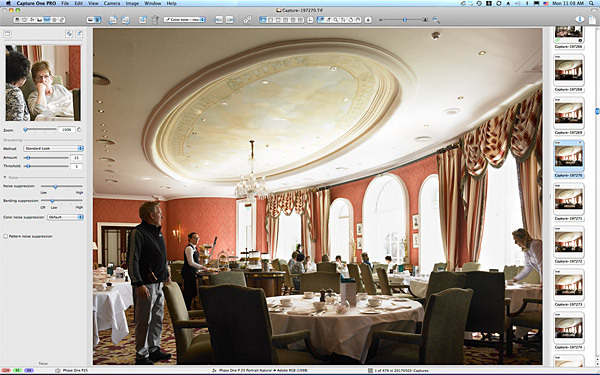 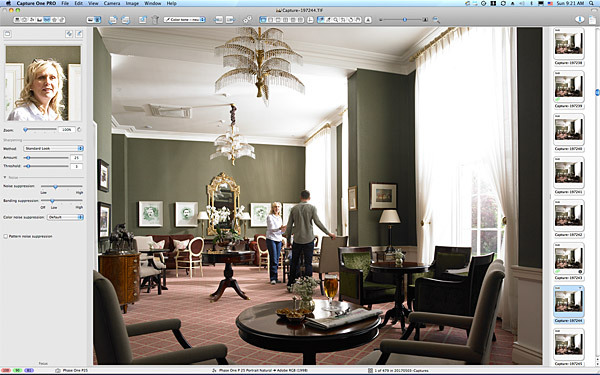 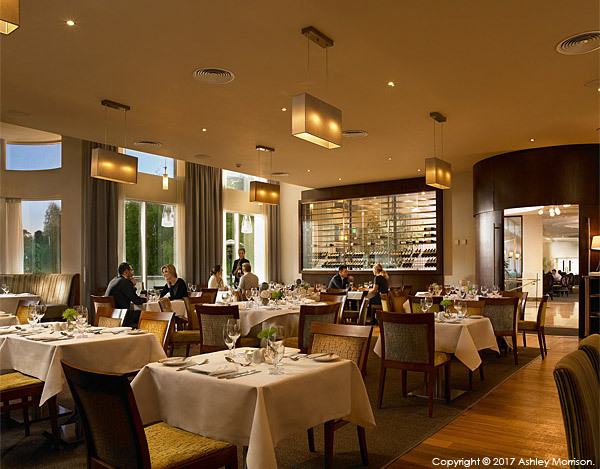 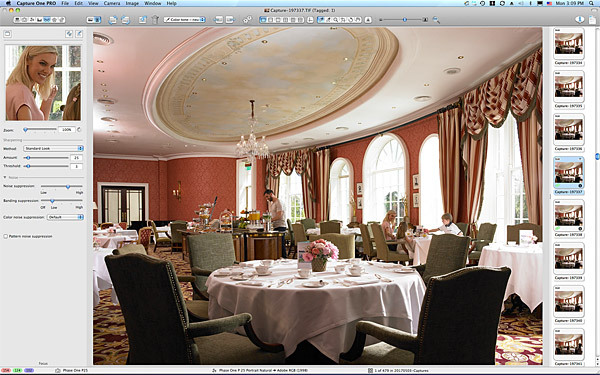 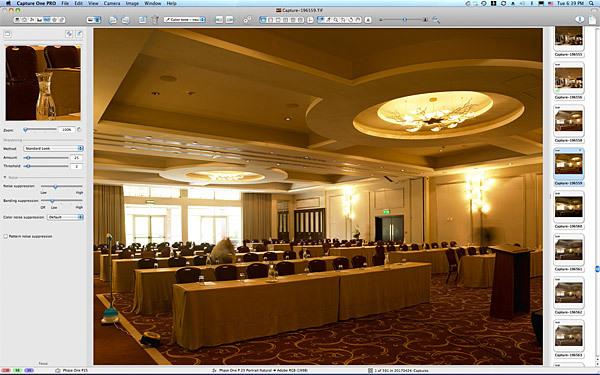 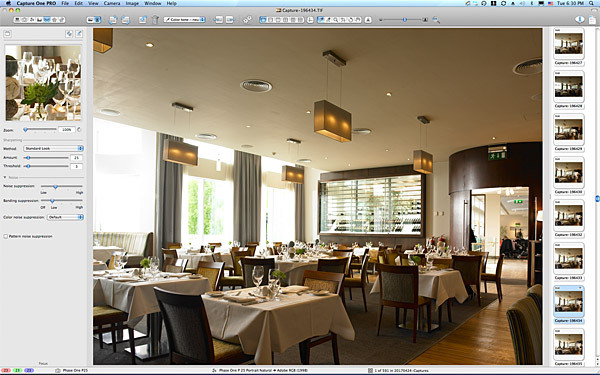 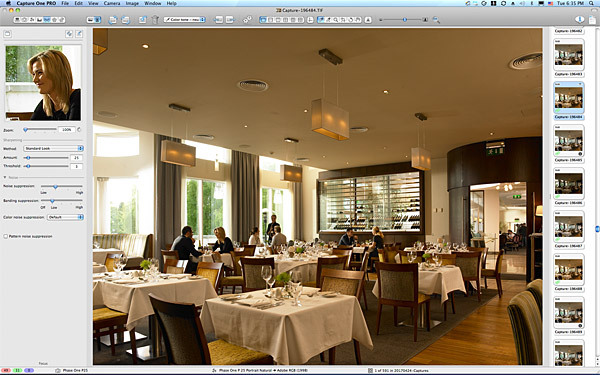 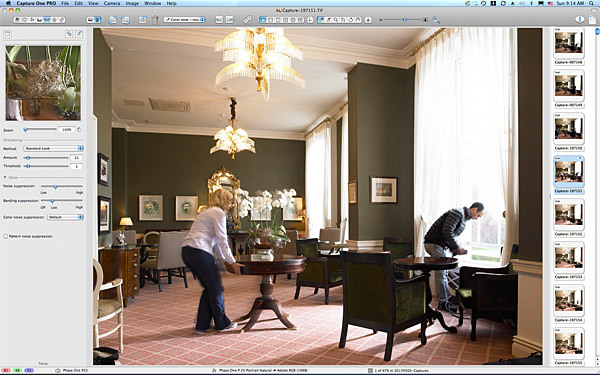 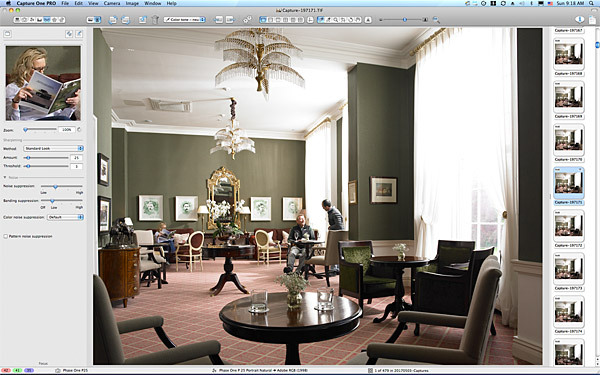 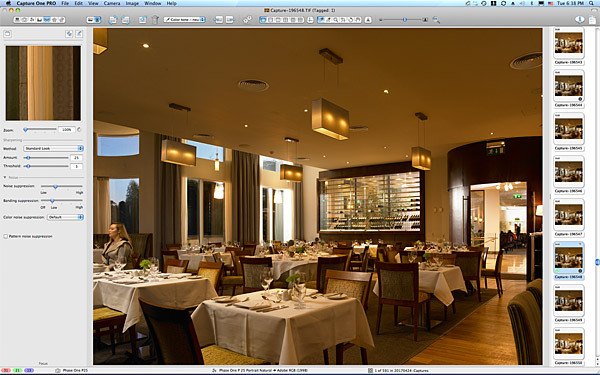 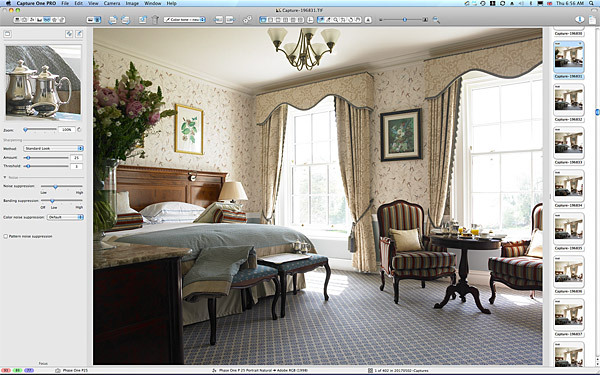 “Just some quick and retouched snaps to show what we think may work here – to tell the story or say what you want to say about each of these rooms. 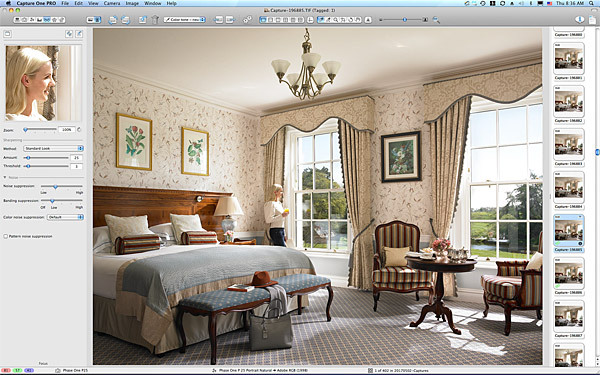 .. which I think would work – but the view would need to be shot from higher up, as this is like a ground floor view, rather than a 2nd or 3rd-floor view outside the window. 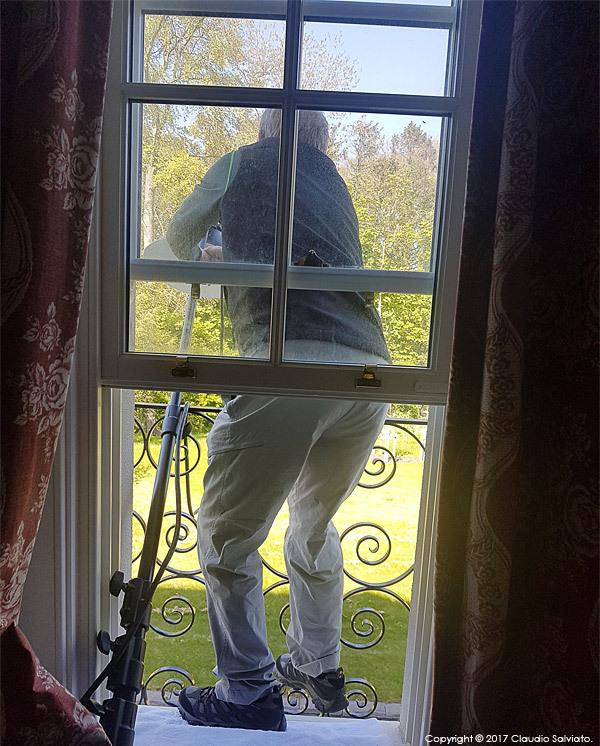 .. as I knew I may need this later on. 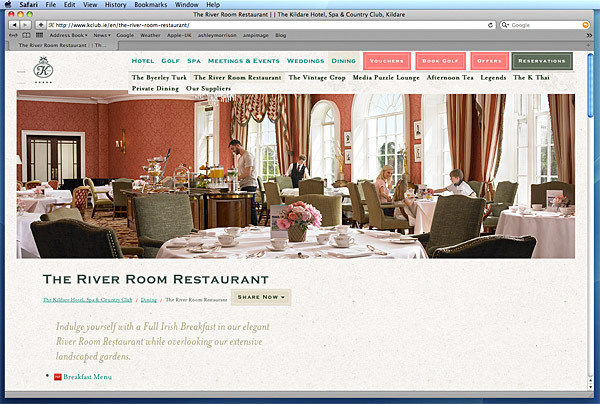 .. which I actually thought looked pretty good as is, because one could clearly see the river outside. 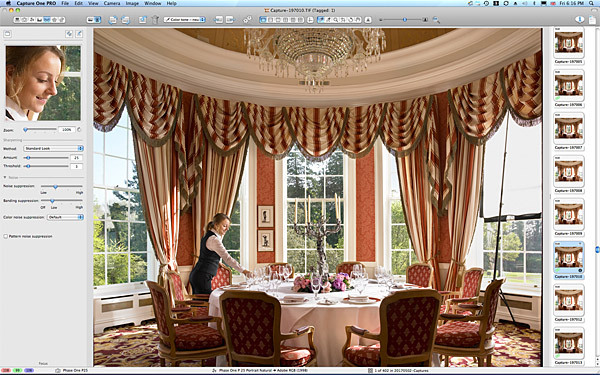 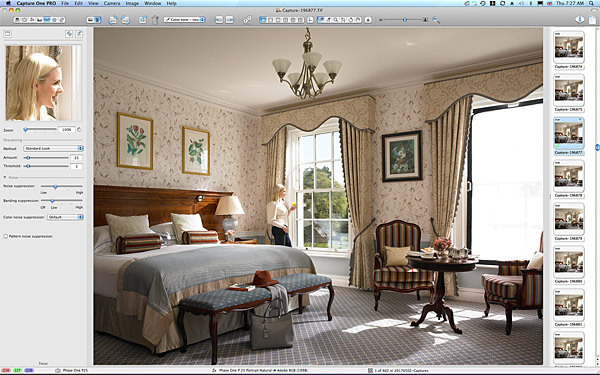 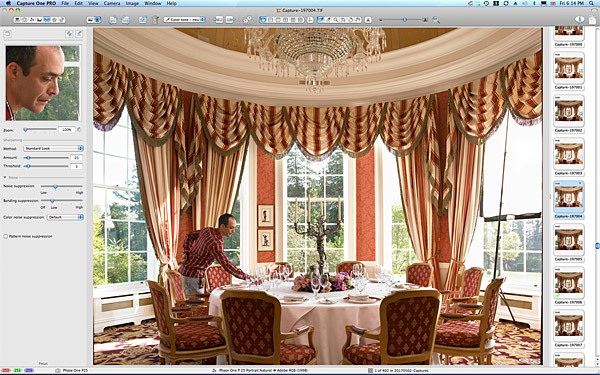 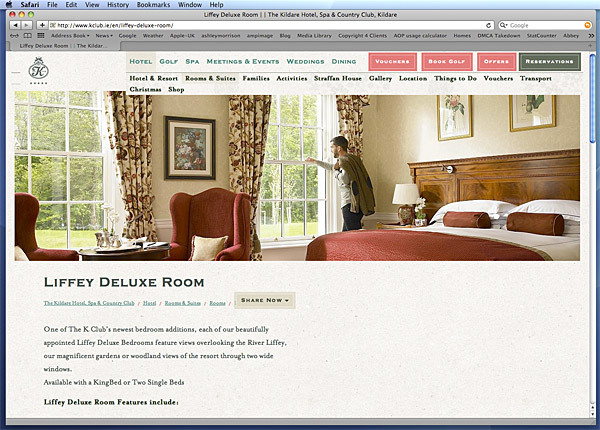 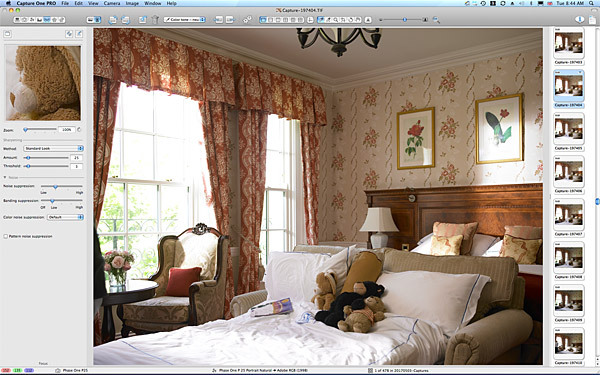 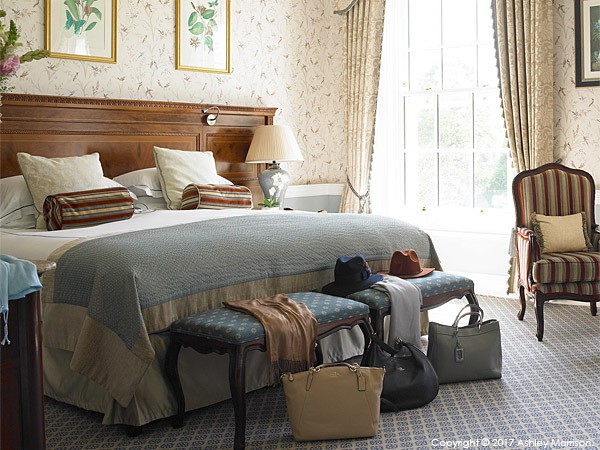 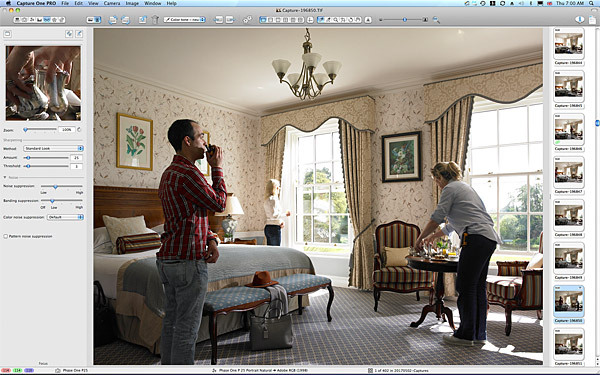 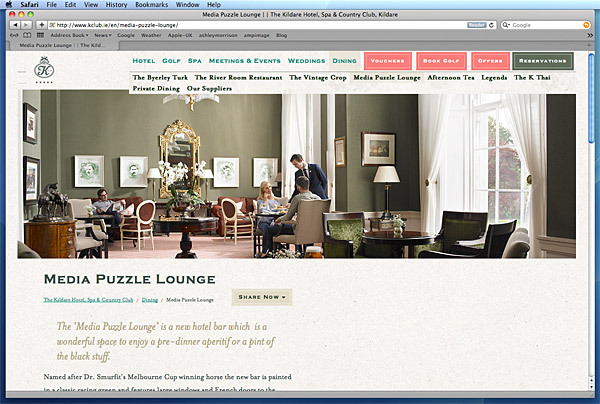 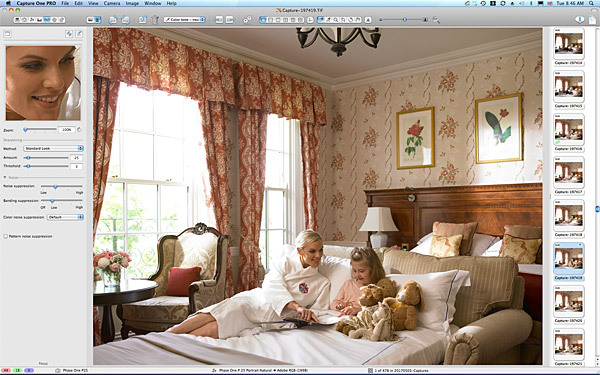 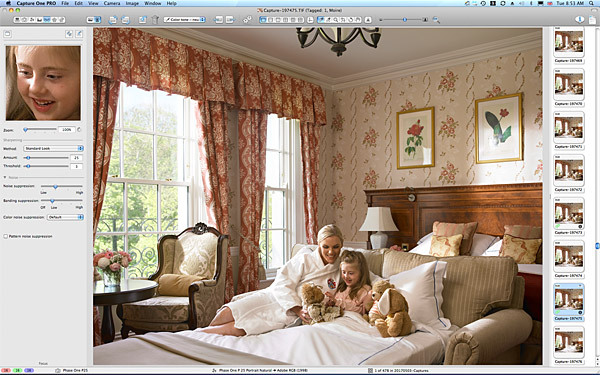 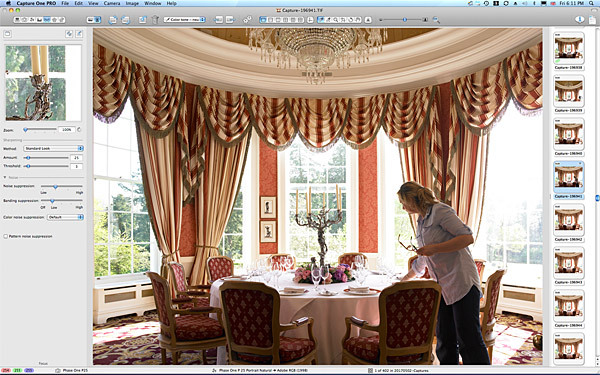 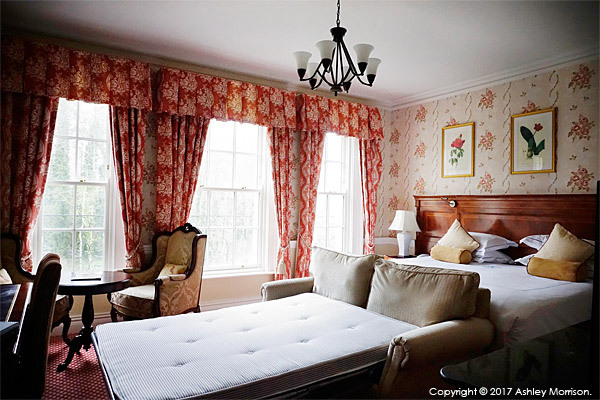 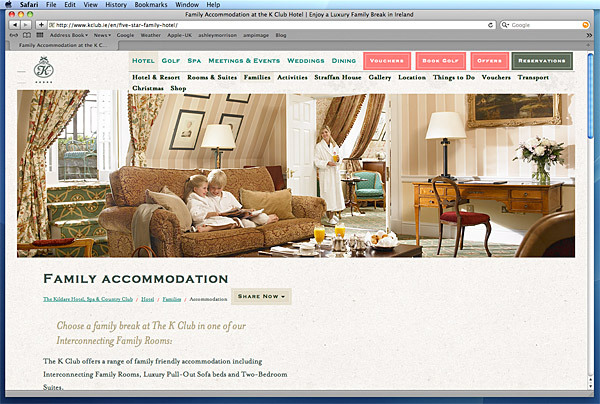 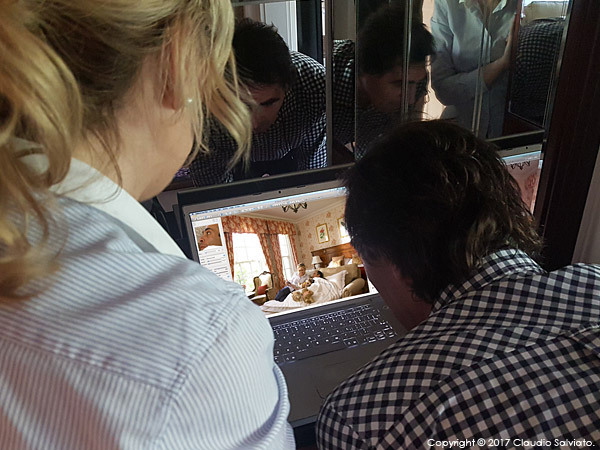 .. which was the ‘Woodland View’ bedroom image we produced at the end of this 3-day shoot. 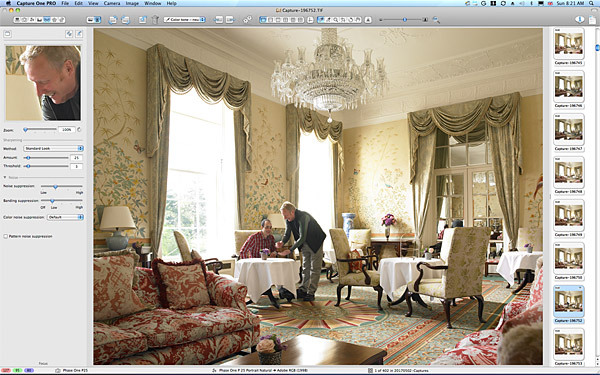 So more on that one to follow – as that’s another story for another day – from Dianne, Claudio, Ivan & me @ ampimage.com .